this car looks so good, saw it parked up at JAE, but didnt see you! Well Finch that was prob because I was drinking bjeej! John: the bc handles nice, much less roll so good on that part. Much stiffer. who doesnt like stiffness in their life?? 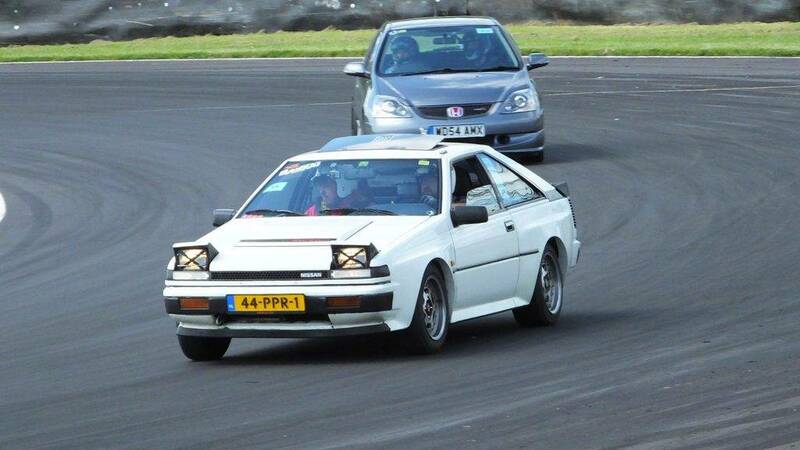 Didnt got a chance to test the brakes, was only in the wet at the ring so that has to wait till next year. When you come to holland lmk i sort you a place to crash. 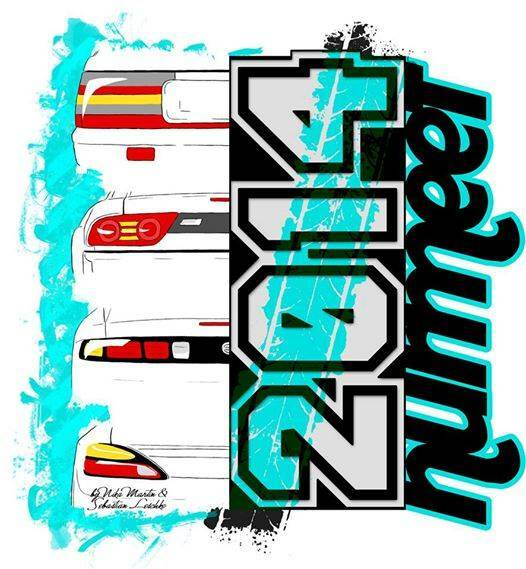 saw all this on fb and wangan forum, good stuff mate! We of Wangan Warriors are all into everything regarding the Japanese automotive culture out here. That means we are no strangers to some of the most classic models and projects. Actually, we adore them! 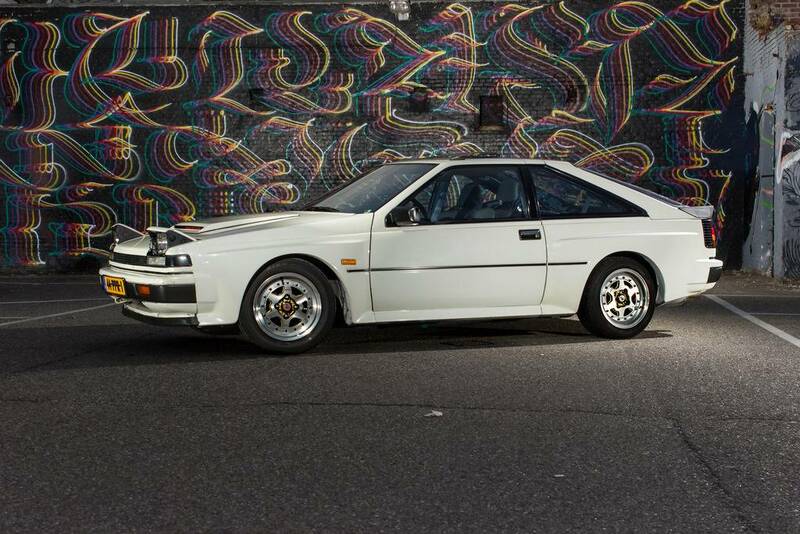 This beautiful Silvia S12 Grand Prix rolled of the lot in 1986. Twentysix years later it is owned by gearhead Mark van der Velden. 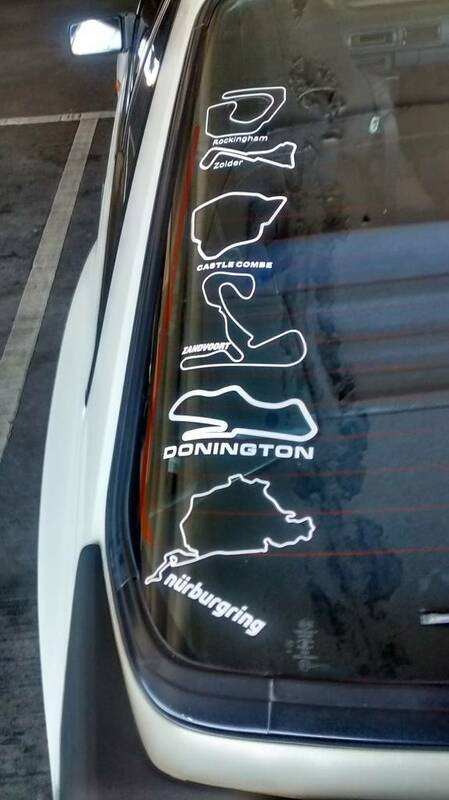 His life is all about travelling to visit race circuits and drive them. 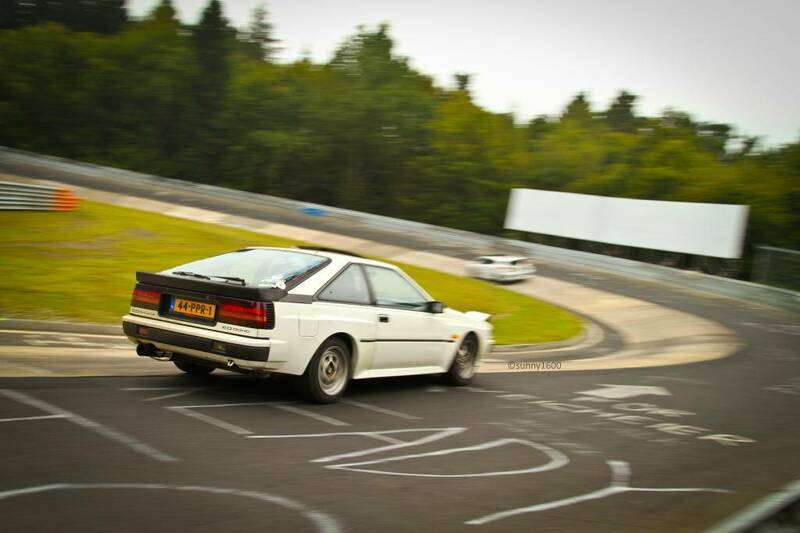 He’s also a Nurburgring addict and thats where we did this photoshoot back in August at the annual nissan Silvia meeting in a small village near the famous Nürburgring. 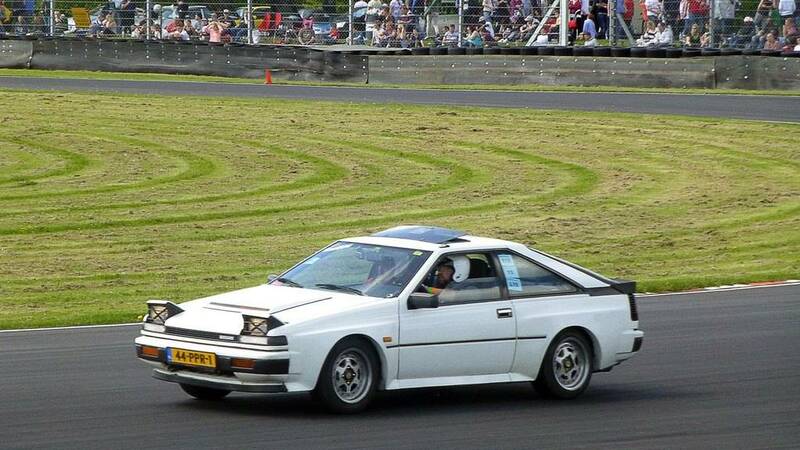 Mark changed quite a bit on the Silvia since he imported it. In February 2011 he picked it up with a trailer in Stützengrun in Germany which is near the Czech border. After a few months the engine blew up because of a coolant failure so Mark needed to fix that with an engineswap. The FJ20e under the bonnet runs about 145 hp with 184,4 Nm of torque. In the interiour there are Recaro recliner seats with a 4 point QSP safety harness. 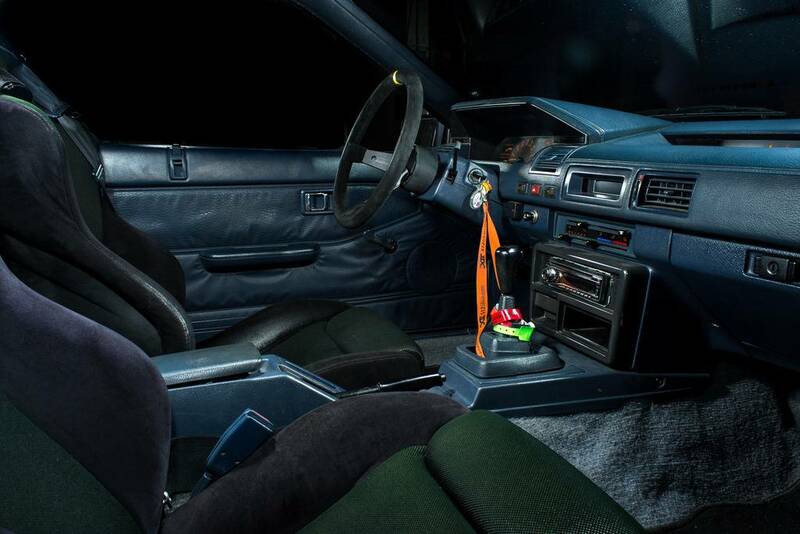 When I took a further look at the interior I was expecting a sport steering wheel as well but the Swiss edition S12 comes with special Grand Prix steering wheel, German ones just got the stock S12 steering wheel like these. Because driving on a circuit is no joy without some handling modifications, Mark installed a BC racing coilover setup on his car. And on the front there is also a s13 strutbrace customized to fit the S12. There are also S13 facelift brakes with DS2500 brake pads mounted instead of the stock brakes. Mark didn’t do anything fancy with new wheels but is running on OE Grand Prix Edition Gotti 3- piece rims. With 7j on the front and 8j at the back. As you can see Mark is not scared to drive overseas. Some people would be paranoid after some big engine failure and would only go to places or meetings near their hometown in case anything happens. Mark is almost a regular at JAE. The GP edition Silvia is quite exclusive. However the exact numbers today are unknown. Nissan Germany says that there are 4.400 sold in total. Most people doubt these are all Grand Prix’s, others say only 50. 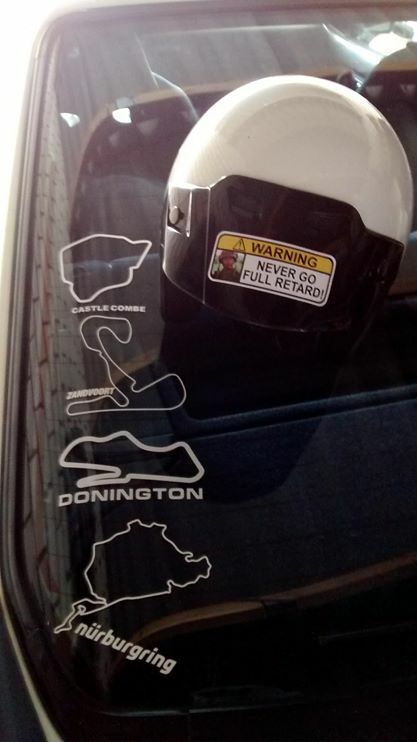 Mark has been an active forummember of ours for a long time and off course he’s got one of our stickers on his ride. 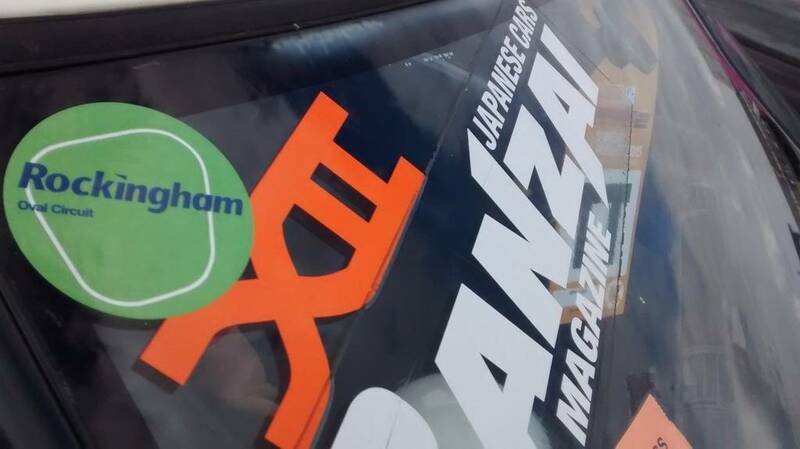 In fact it’s an honour to see it next to the Japan support sticker which were designed after the tsunami in 2011. Another cool detail about this car is that even the models in 1986 had headlight rain wipers. Even the later Silvia models don’t have those, how cool is that! 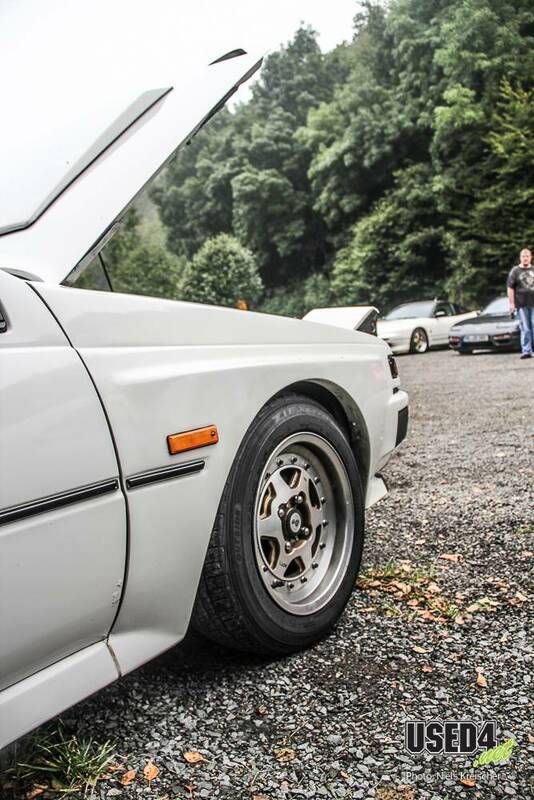 Mark made me open my eyes for these classic Silvias and this will sure as hell not be the last feature we will share of a cool classic JDM car. I would also want to say to all the classic owners out there that if you read this, feel free to drop by our end of year meeting. We’re not only fond of performance and stance orientated cars but we love classics as well!! I know for certain that Mark will visit some tracks in the future and if I spot him out there I will try to capture him! Thanks to Mark for his enthousiasm and activity on our forum. 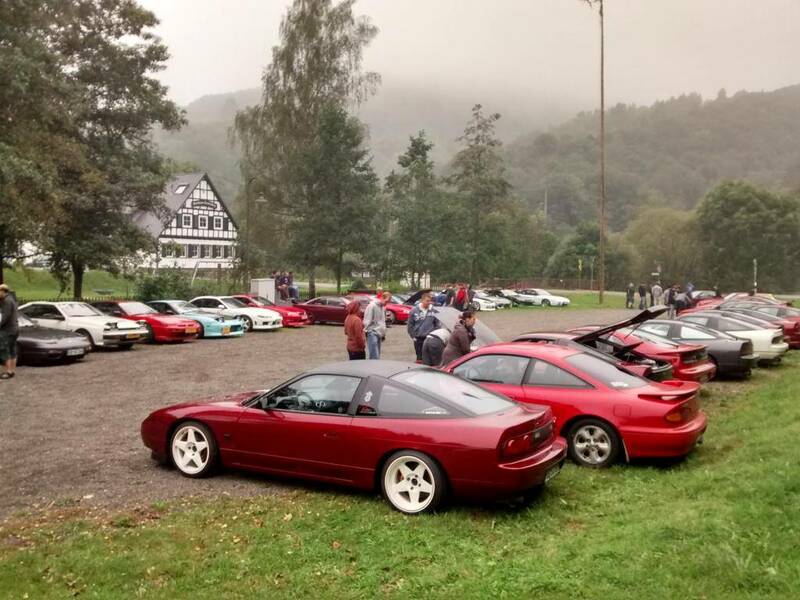 I had a lot of fun at the Silvia meeting in august! Hope you appreciate the spotlight blog. 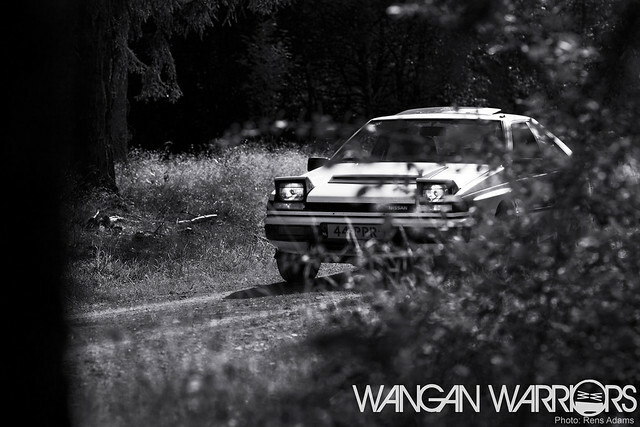 Some pictures made from Paul from Wangan Warriors during the Nürmeet. Yeah they can make good pictures. 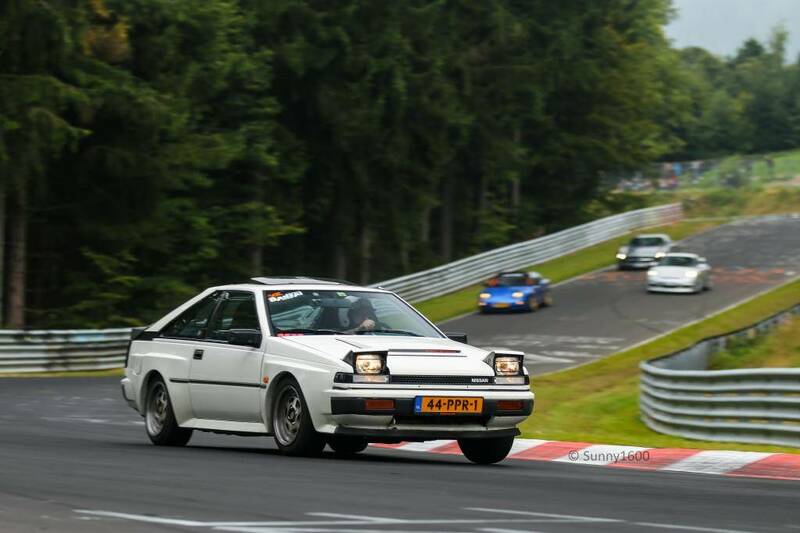 A picture of the 50th lap on the Nordschleife on the 11th of September 2012. Any lads going to JF1? I see tracktime is sold out, so not taking the twelve but the plane to come over this time. I will be at the NPOC stand at JF1 and would love to meet you guys again. JF 1 is saturday the 11th of May. I am going to JF2 also, but then with my car again to do some laps. 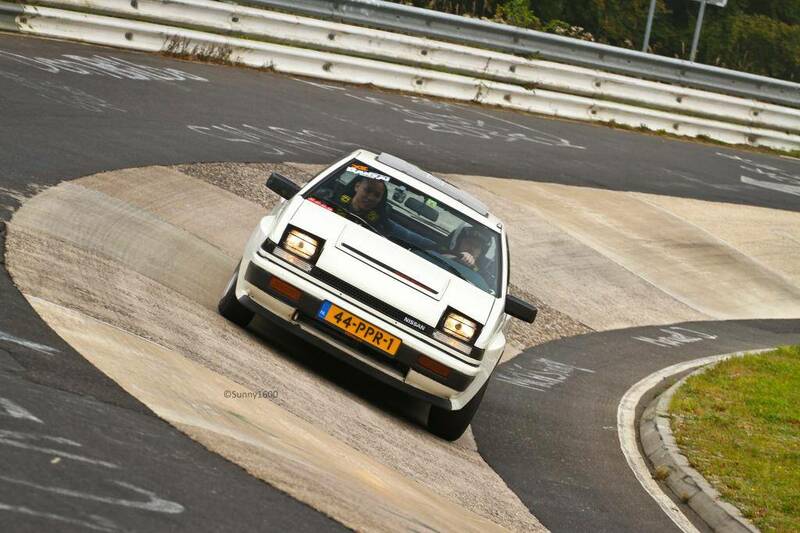 Weekender 24-26th of May I will be at the ring. You lads going this year? Last year I had a hose leak again. So I decided to take off all the hoses and have them all remade. Which cost some time but eventually I found an UK company (JSperformance http://www.jsperformance.co.uk ) that is able to reproduce the correct form of the hoses. They are from silicon and are a bit thicker that original. Which fits perfectly most of the hoses. Only the two hoses under the inlet manifold are too big in outer diameter and they cannot be fit properly. If you want more info reg. the hoses contact them, I don't have more info. After this was fixed the car was ready to be driven again. With the original Grand Prix font. 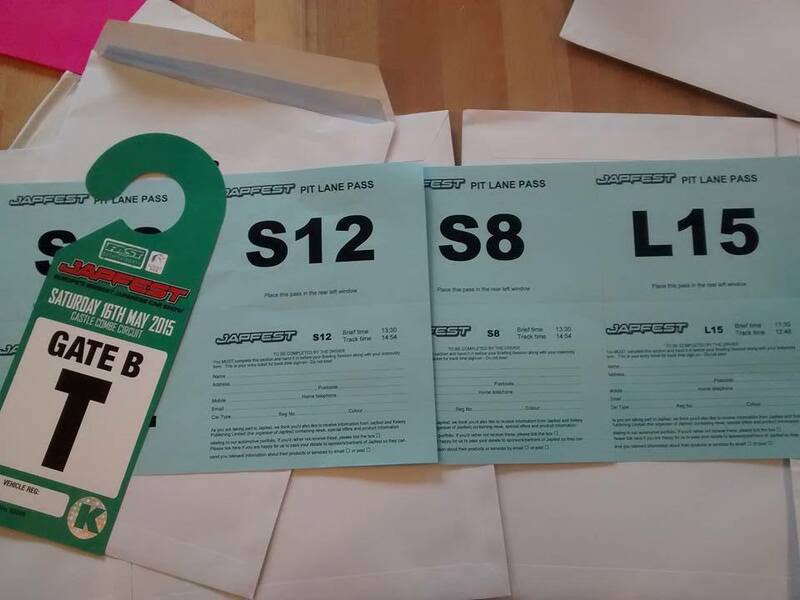 If anybody wants floormats for their LHD S12 and cannot find locally. And don't be fooled of the picture of the S15. They come without brand/club name on them. I also bought some new rims, work emotion XD9 front 9x18 et20 and rear 10x18 et18 but sold them because I believe they are too big on an S12 and not easy to be fitted with some decent rubber unless in 4x4 mode. Went to JAE in the UK for the fifth time in a row. 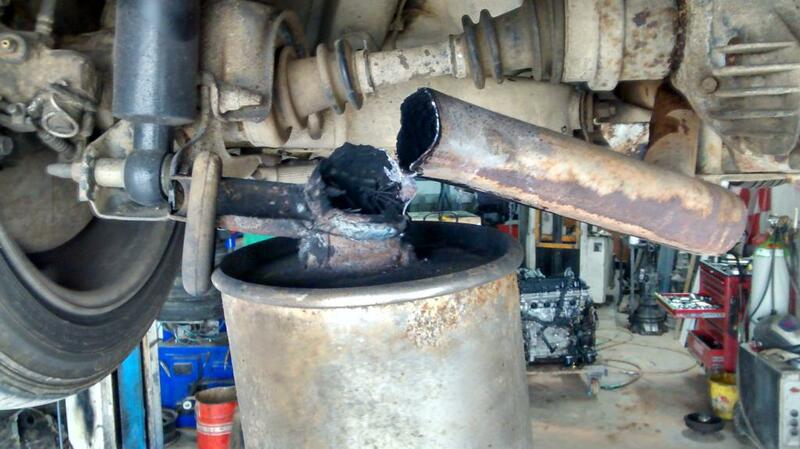 After this I brought the car to a buddy of mine that welded a new floor pan in. The stock one has a big bump in it and that gives problems with aftermarket seats. They cannot be mounted low enough. Seat is much lower now and much better for track use. 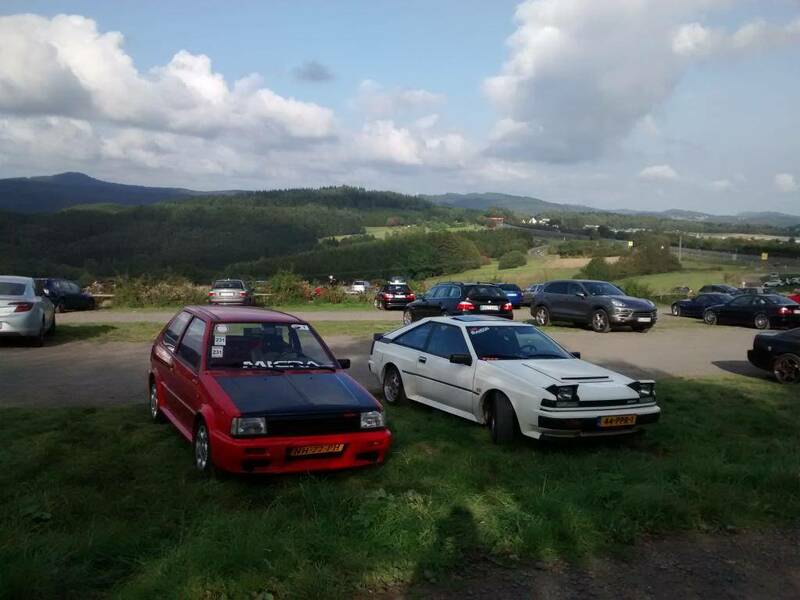 First time was during the Nuermeet (A SXCE international car meet weekend at the Nurburgring). This was my second time and had alot of fun again. 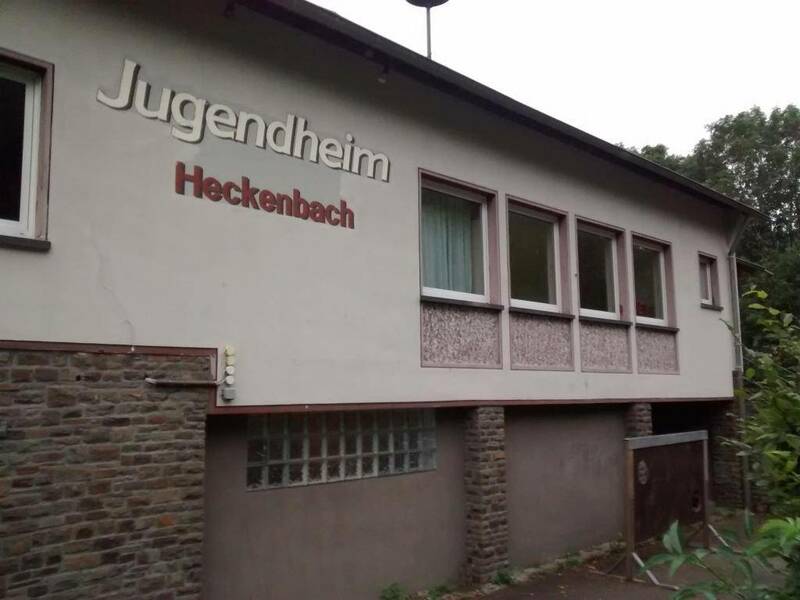 Although it was pretty cold in the Eifel at night. I did only 2 laps on sunday and it was insanely crowded at the track, which can be seen on the picture below. Second time was a week later, on a quit monday. Lovely to drive it then. After this I also went for a track session at the local track Zandvoort in the Netherlands. The track is so wide compared to the ring. Unfortunately no pics or footage of this. Hopefully next time. There will be one small update this year. 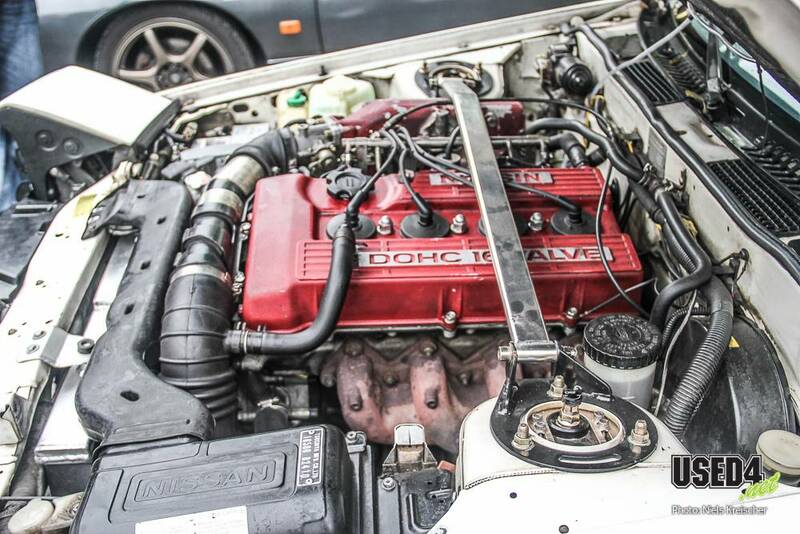 Last time it appeared like the S12 was running on 3 cylinders, so we checked the spark plugs. They where fastened way too much and only came loose with alot of effort. Unfortunately the ceramic on one off the plugs was damaged and was laying in the bottom off the spark plug hole, so next problem. The spark plug wasnt completely screwed out of the hole so we could get the ceramic out with a compressor. We put in new plugs and it was running alot better instantly. Also mounted a deepdish LTEC steering wheel and because I have driven on circuit Zandvoort recently I have also placed a sticker of that track on the back of the windshield. Like I already said there was coming a small update. I have a few pictures and a webpage where you can see more of it. The story begins like this. I saw a scale model of a local Supra that looked alot like the real deal. I wanted a scale model of my S12 for some time now, and it had to be a replica of my Grand Prix S12. Only problem is those arent made. So I asked Kris if he could make it for me and he liked the idea. It is in Dutch but google translate can help and the pictures are pretty much self explanatory. To top it all off here are a few pictures of last sunday when I attended the Wangan Warriors meet which is a Jap car only meet which attended 400+ cars. Not bad for some guys that have a forum and do this for the hobby. For now the S12 is in wintersleep mode, waiting in the garage for next years plans. 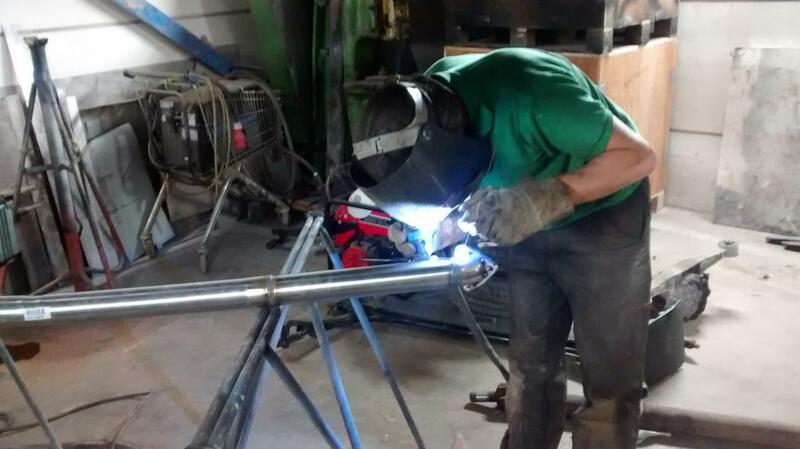 Last weekend I went to my welder to have the mounting of the drivers seat redone. I wasnt happy with it and neither was he. The way it is done now it is more solid and easier to adjust. 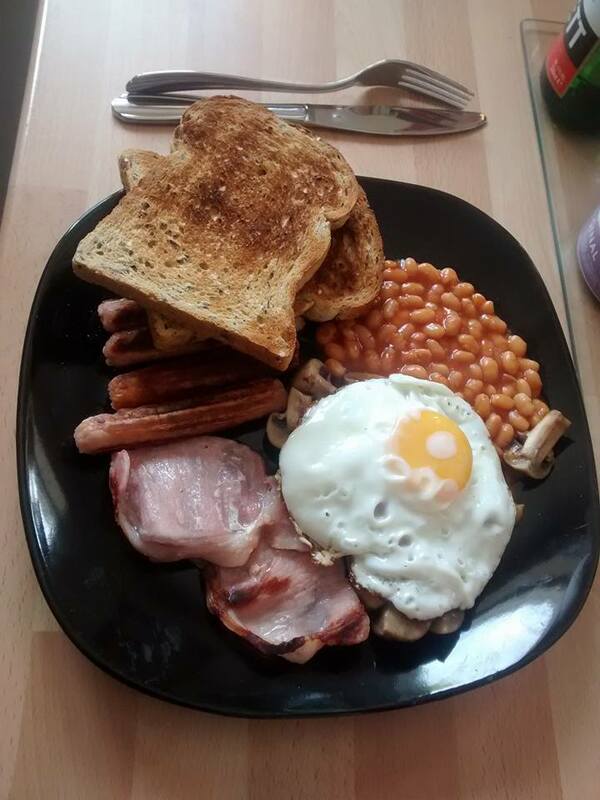 Here are some pictures of the result. I still need to grind it down a bit and give it some paint. The FJ gearbox has seen better times so I bought a FJ box for cheap. And because the FJ was also cheap I also bought that one. Also ordered a new clutch and pressure plate. This will be replaced together with the gearbox. I want the friction plate/clutch plate to have a better lining so it can handle the track abuse better. I also bought a Nismo sport muffler which will be mounted together with a 2.5inch stainless steel custom exhaust system together with a DR30 FJ20 N/A exhaust manifold I have had laying around here for two years. That will need some serious remodelling but nothing my welder cannot fix! Saturday we plan to mount the setrab oil cooler and while we are at it change the oil. Some time ago I bought a refurbished S14 front brake setup which hasnt done 1000 km. We will fit the S14 front brakes to see how big a spacer I need to make the brakes fit in the 15inch Gotti's. With all this done we should be sorted for Japfest UK. So hopefully see you there. Time for a trip down memory lane. 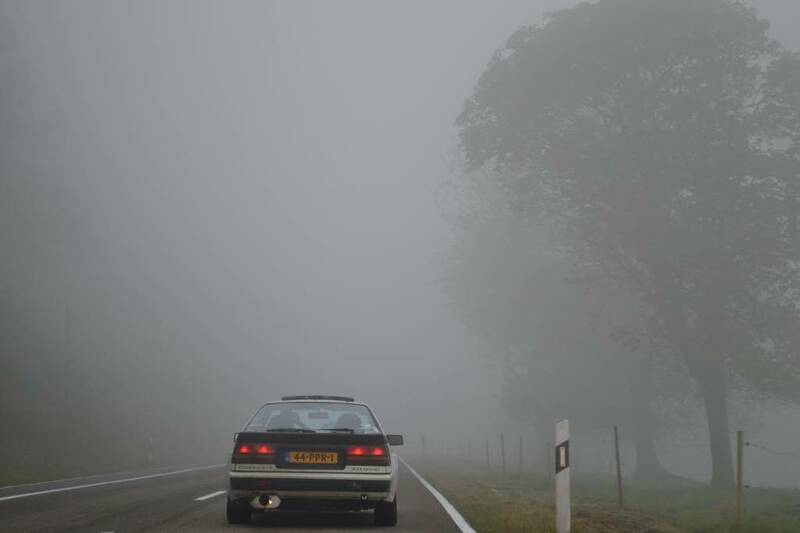 In 2011 my S12 would be featured in Youngtimer Magazine. 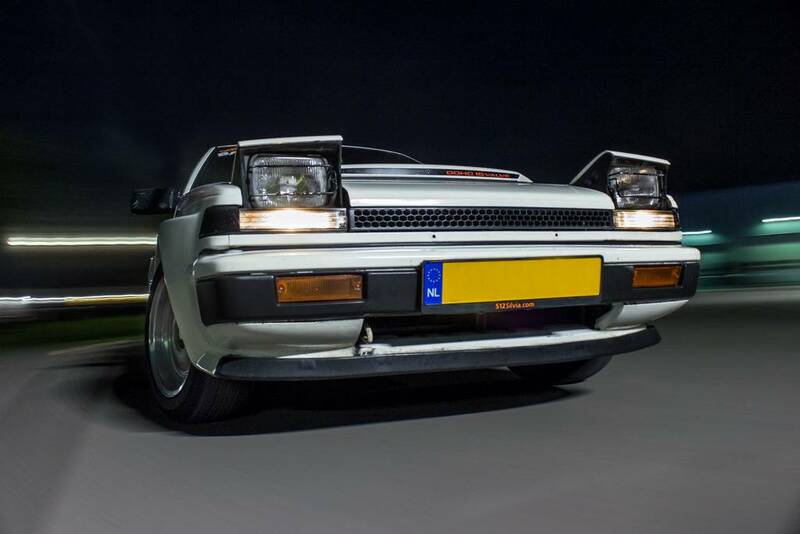 A dutch magazine about cars of the seventies, eighties and nineties. Unfortunately my engine blew up and I had alot of problems afterwards with the rebuild. In July of 2012 the feature did happen. There are some mistakes in the article but overall I like the feature. Here is a scan of the article. It is in Dutch but I have translated it as well as I could. 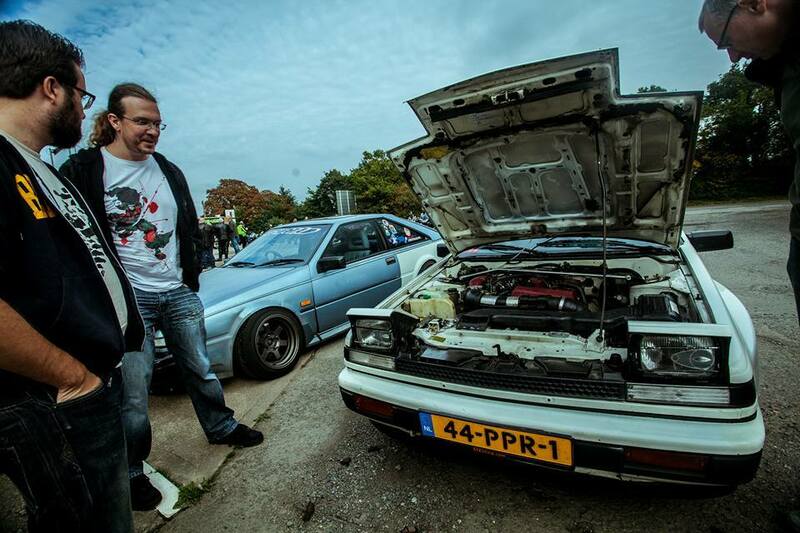 29-year-old Mark van der Velden is a Nippon-freak at heart when it comes to cars. Proven by the many pictures in his room. 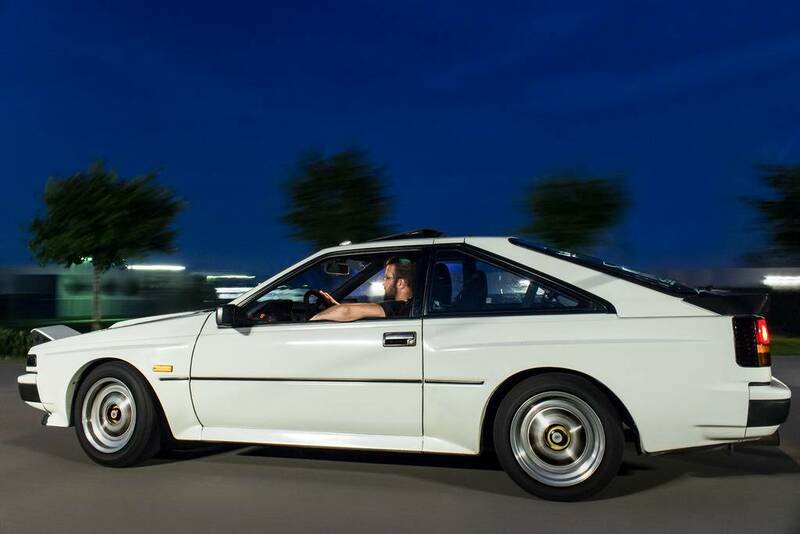 Rightly proud he is of his Nissan Silvia S12 Grand Prix, a special limited edition, which spoils the sports driver with generous power and good driveability, while the lover of art is operated with beautiful Japanese engineering. 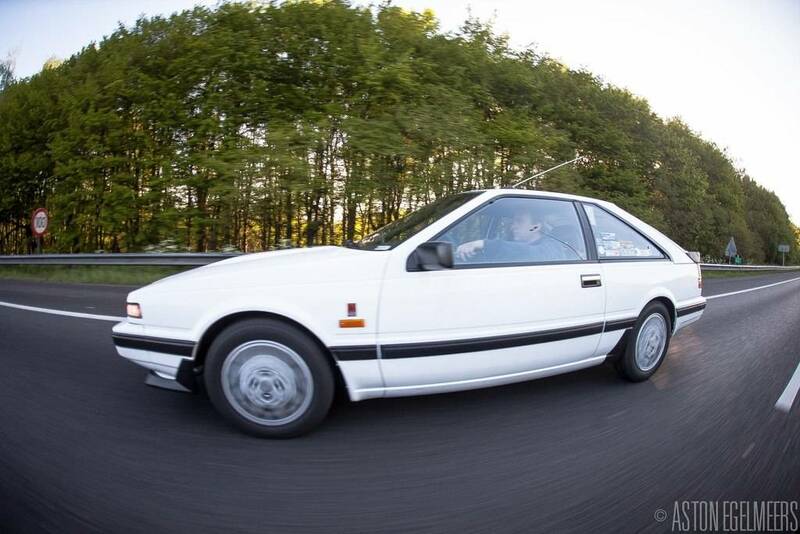 Although the Brabander is particularly careful with his white coupe Youngtimer Magazine was allowed to take it for a ride. 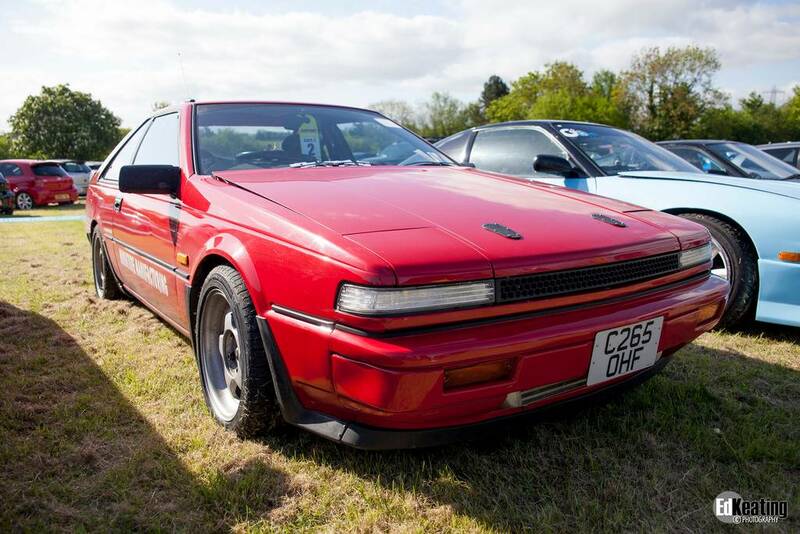 Nissan brings the Silvia S12 Grand Prix in 1983 to the market. 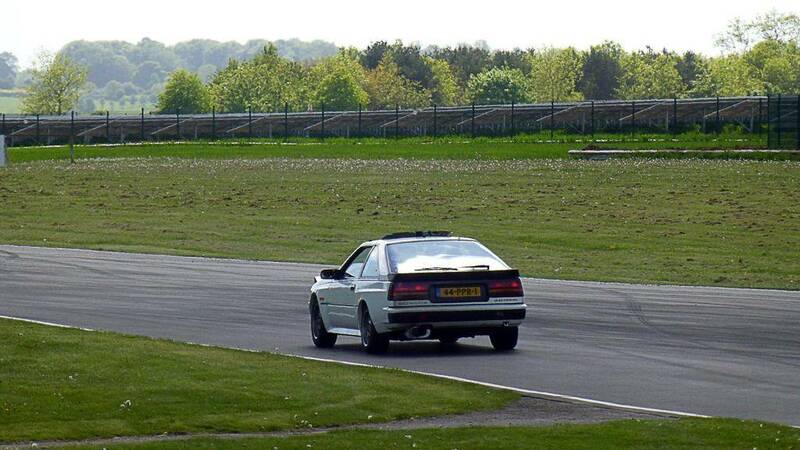 The big difference with the normal S12 is in the body shape. The standard looks slender, graceful and pruning tight. The GP has the contrast as if it’s on steroids and it has a wide body kit that looks like a sumo wrestler. The wide costume fits the coupe exceptionally well. Even when standing still, the car demands respect. Of course the body is not the only difference. Especially under the hood there is a technique of a very different caliber. There is a double overhead cam with a displacement of two liters, with the codename FJ20E. This machine is good for 145 hp. Indeed, not much, partly because it looks suggests at least 200hp+. The block, however, offers an unprecedented potential for tuning and can easily double the power. Mark has enough future plans; a FJ20ET turbo and manifolds are already impatiently waiting on the shelf. Van der Velden lost his heart to cars from the Land of the Rising Sun. His first car was a Nissan sunny N14 1600. 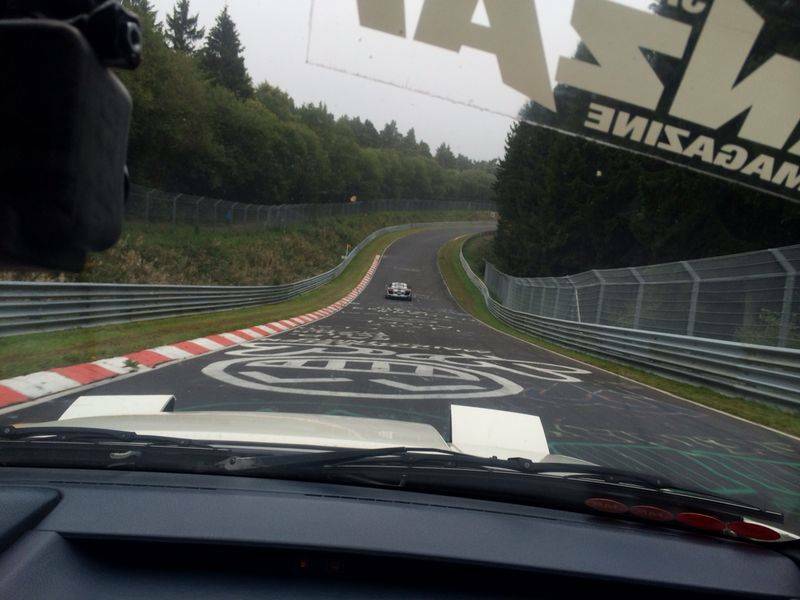 I like to take my car out on some laps around the Nordschleife in Germany. For this purpose I had modified the sunny. GTI brakes, an improved chassis, all perfect for street and track use. Driving pleasure guaranteed, and all three years, without excessive costs. Another proof that the technique of the Japanese is hard to beat. The bodywork was less, I sold the N14 in part-out. End of 2010, it is due time for something else. The quest begins on the internet. Mark has a few requirements. The car must be rare, preferably RWD and road tax-free. 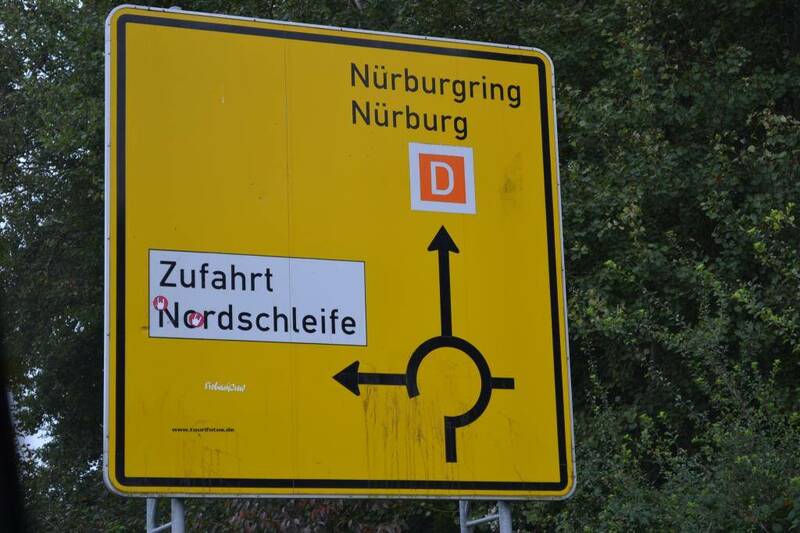 In Germany Mark discovers his current Nissan near the Czech border. "Not exactly next door, but for something special you have to put more effort in it to obtain it.. After several emails with questions, answers and photos it was November 2010 and the buy was agreed. After a small deposit the car was taken of the auction site and could stay there for a few months. In February 2011, I picked the GP up. " 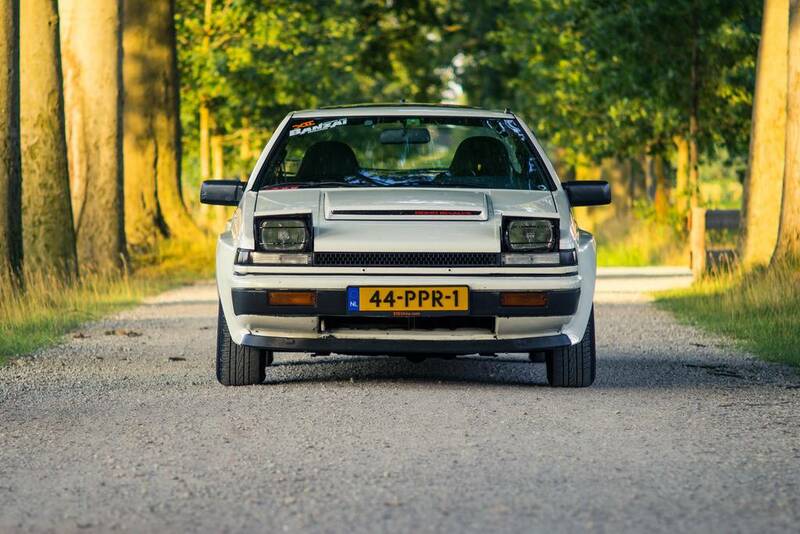 When Mark van der Velden thinks of cars they come from Japan. 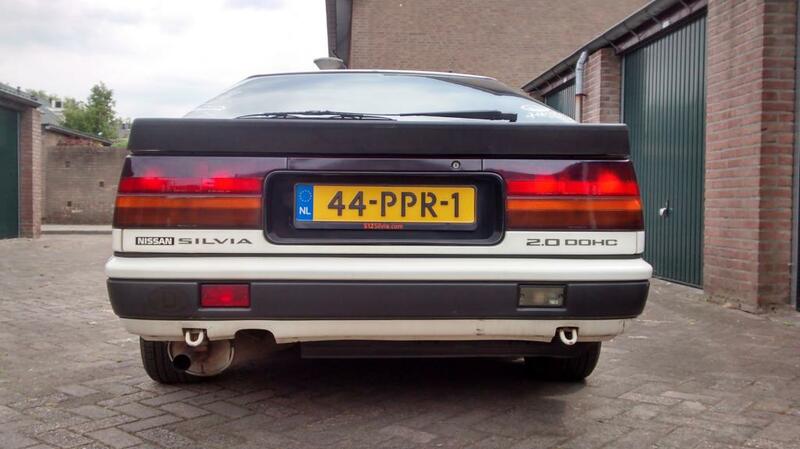 Such a silvia is not a modest appearance. 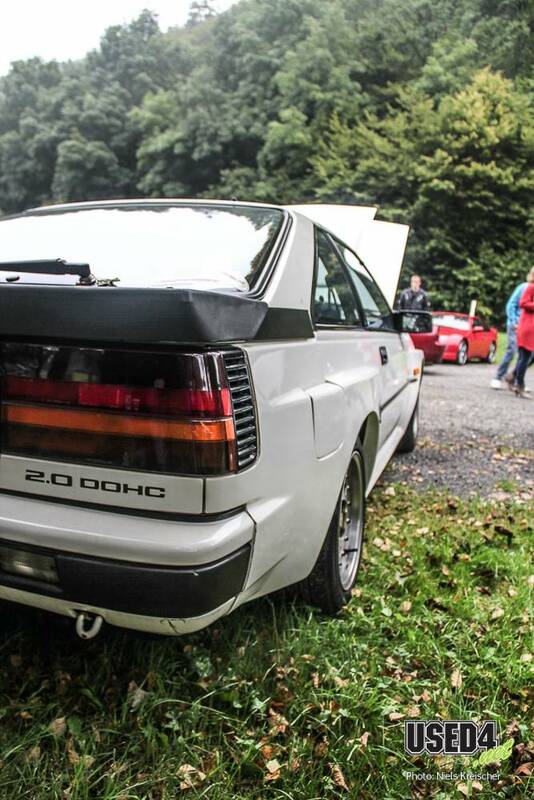 The extended fenders recall those of the Audi Quattro. The Quattro ones are made of metal and are integrated with the bodywork. Nissan used polyester parts that widens the body on both sides 7 cm. No show, but necessary because of the front 7" and 8" wide wheels in the rear. The screens are in one piece, with the rear riveted. Nissan has tried as much as possible to conceal them, but that was not exactly successful. On the hood the 'power bulge' displays proudly. In combination with the higher FJ20 engine this is a sheer necessity. The folding headlights feature washers and wipers powered by the same engines as the lights move. Very special are the guards for the headlight lenses. Protection against crossing wild? The special footrest for your passenger is also a rarity in street cars. 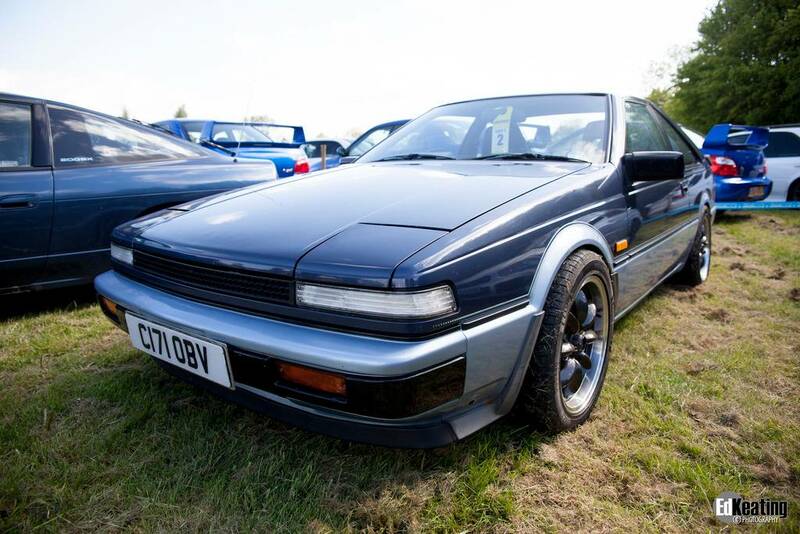 Mark wants to keep his Silvia S12 Grand Prix for a long period and plans a respray in the future. Striving is to keep the car look as original as possible on the outside. It can be difficult to get all the original stickers, but if it is impossible to get the originals, they can always be reproduced. 1. 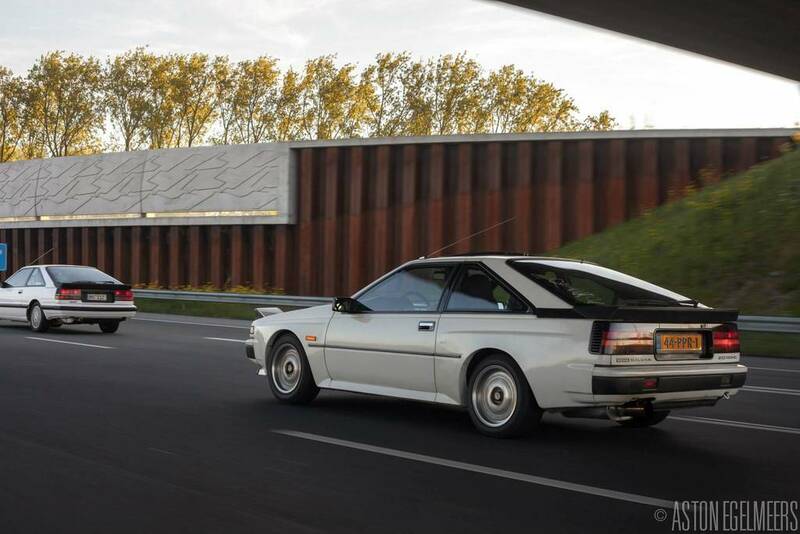 In the eighties the sunroof is inevitable, this Silvia is not an exception. 2. The FJ20 overhead cam is a fine example of classic motor construction. It is well known in the tuning world that the engine harbours great potential in power and moderately displays such ability. 3. All GP's are on a composed 15" Gotti wheels, front 7" wide and the rear 8 ". It is typical that a Japanese manufacturer opts for French wheels! rally successes have proven it. 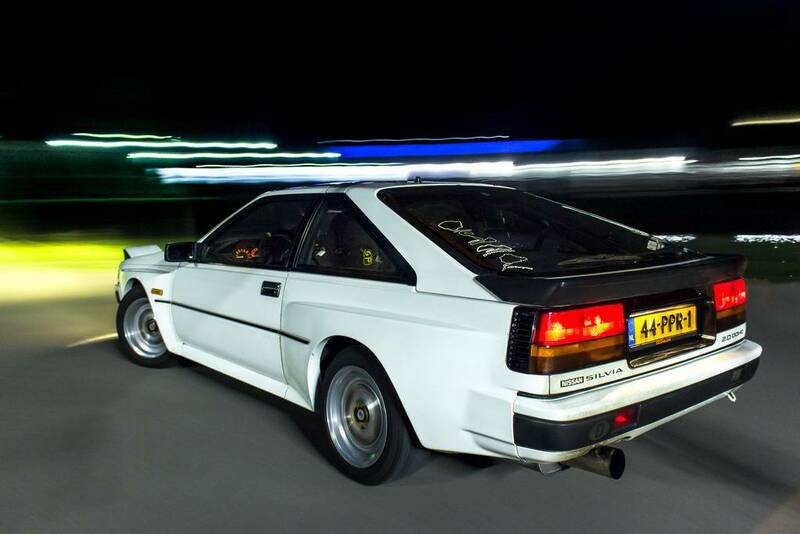 The white Silvia GP has left the factory in May 1985 and was first licensed in January 1986. 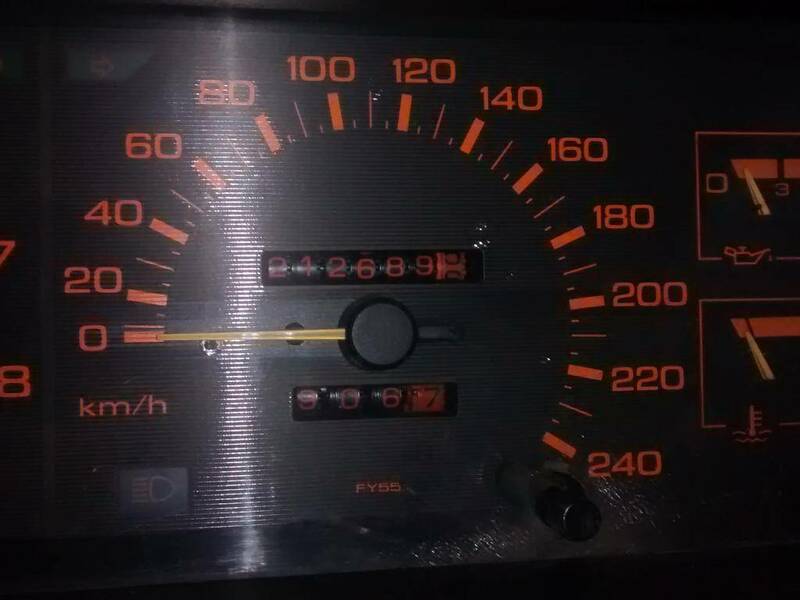 At the time of purchase the km-counter stood at 185,000. There are now 9,000 added. Mark found a MOT report from 1995 where the car had at that time a milage of 177,025 kilometers. In the ten years before there is thus only 8000 km driven! Unfortunately there is no service history. A thorough maintenance is vital. Besides the standard items Mark replaced all the fluids. The brake pads were replaced, the thermostat, the track rods and a large handful of other parts. After all this the RDW (the Dutch civil service for road traffic) doesn’t give this thick Japanese car the slightest obstacle in the way. 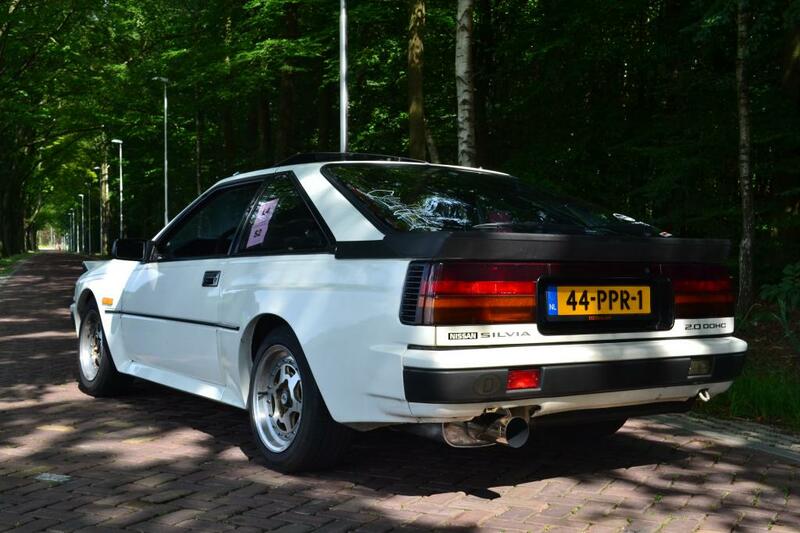 Since February 2011, the S12 is on Dutch yellow license plates. Mark says that he quickly found a replacement head at a nearby Japanese car junkyard. The gaskets needed to be ordered from the U.S., but that went smoothly. "Nissan dealers can provide almost nothing for these cars, so you have to rely on countries such as the USA, Australia and England. There is still enough FJ20 supply, which gives peace of mind. After rebuilding the block, stuff got worse. The company that had overhauled the cylinder head cut off a valve stem. With two valves just too much .. With the result that the valves are no longer able to provide in the normal way. " Mark is now really fed up with this, "I decided to buy a completely different block, which I found in Germany. It was not expensive, so I dared to risk it. Together with a friend I did the swap in three days. The engine ran perfectly straight away, one problem less. Revision of the transmission is still on the priority list, which has some odd sounds. The starter or the starter gear is not good, but it does still run'’. "With everything you can notice that the car is designed for much more power." The car does drive fantastic! 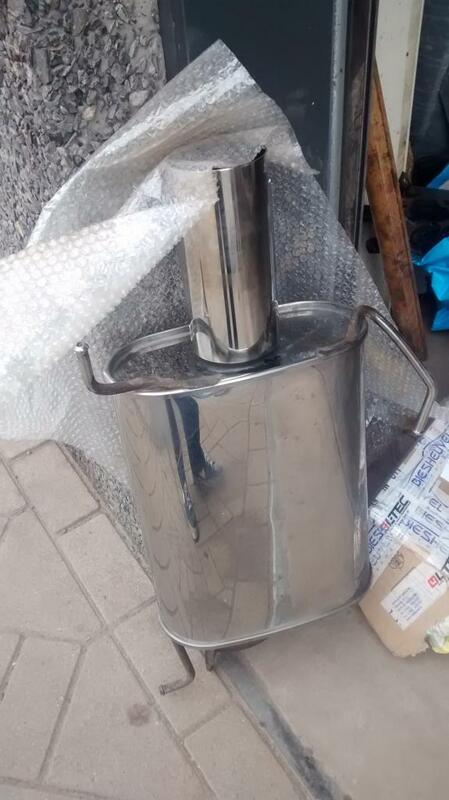 It is quite heavy with its 1375 kg. Everything feels remarkably tight and solid. The interior has a typical angular eighties atmosphere. The vast amount of plastic is characteristic of Japanese-made cars of that era. The many shades of blue that really come at you from every angle underline this experience even further. These seats offer more lateral support as you would expect at first sight. The steering wheel looks like it came straight from a Bluebird. This super sporty coupe deserved a more sportier interior! The five-speed shifts completely free of play and the clutch performs its work as on the day of delivery. The suspension should have been a tad stiffer, but this Nissan doesn’t roll too much on its longitudinal axis. The car responds very directly, which is a big advantage on the circuit. 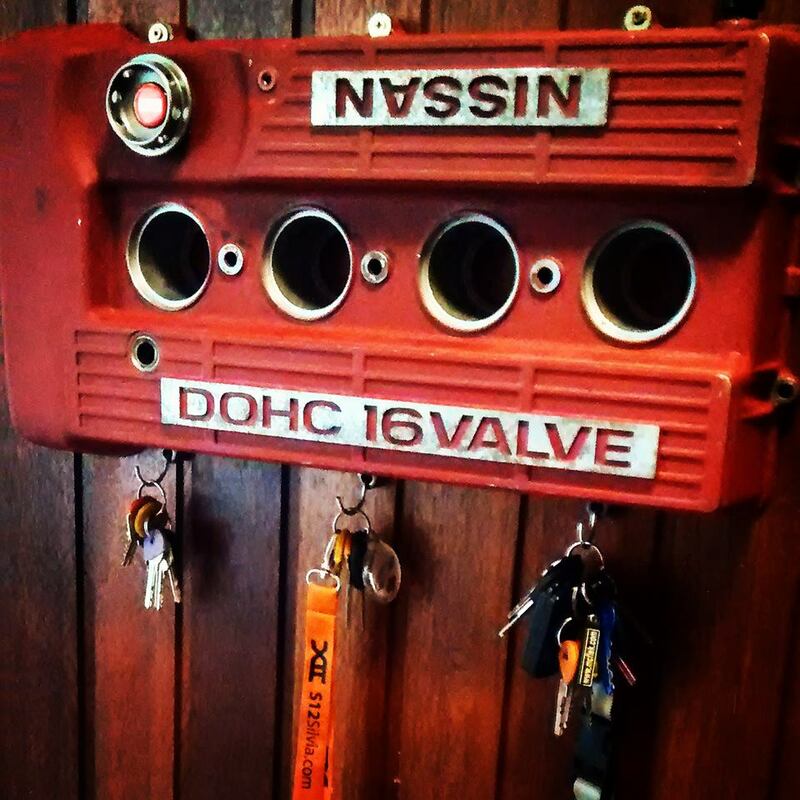 The classic sixteen valve behaves like a true sports machine and is pretty tame at lower RPM’s. However when you floor the gas pedal, from roughly 4000 rpm there comes a wonderful explosion of power. The exhaust will treat you to a wonderful deep rumble that animates you to rev it over and over again. You notice on everything that the vehicle is capable of much more power. The braking system is also there to cope, it has a big overcapacity in its current power. 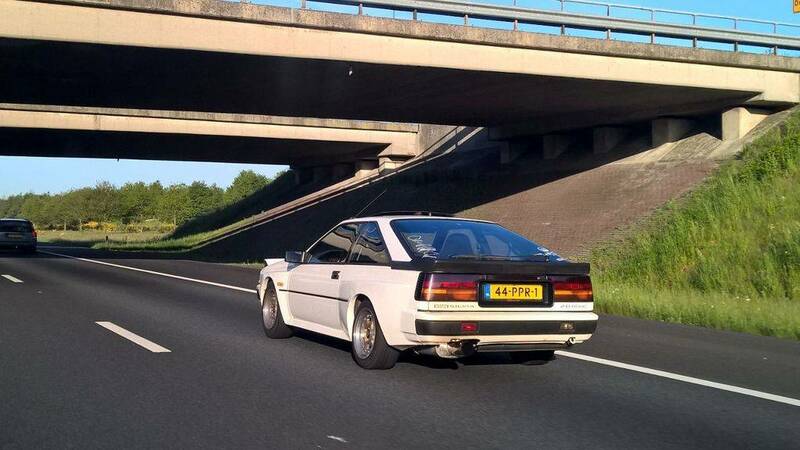 Mark uses his S12 for hobby, although certainly it is not an impractical car. 'For everyday use I own a mazda 323 hatchback from 1987. My grandparents bought that car brand new. The car has just had its run in period with only 80.000 km’s on the speedometer. Part of the hobby includes visiting events. 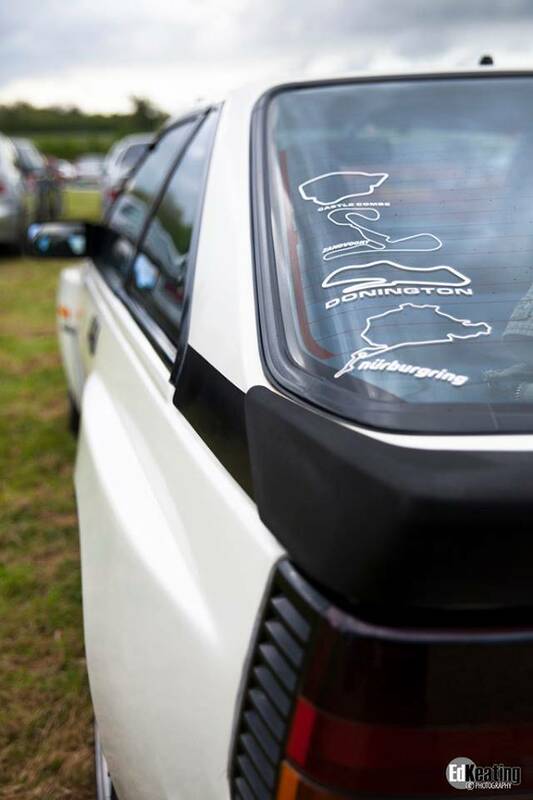 High on the priority agenda are Japanese car events like Japfest 2 Donington Park in England and the Japanese Auto Extravaganza, also on the other side of the North Sea. 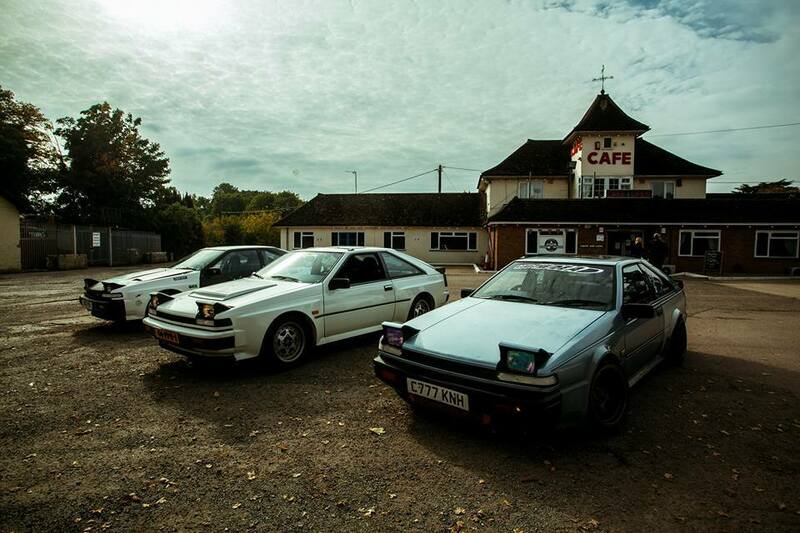 "This is one of the largest events for Japanese cars in Europe. 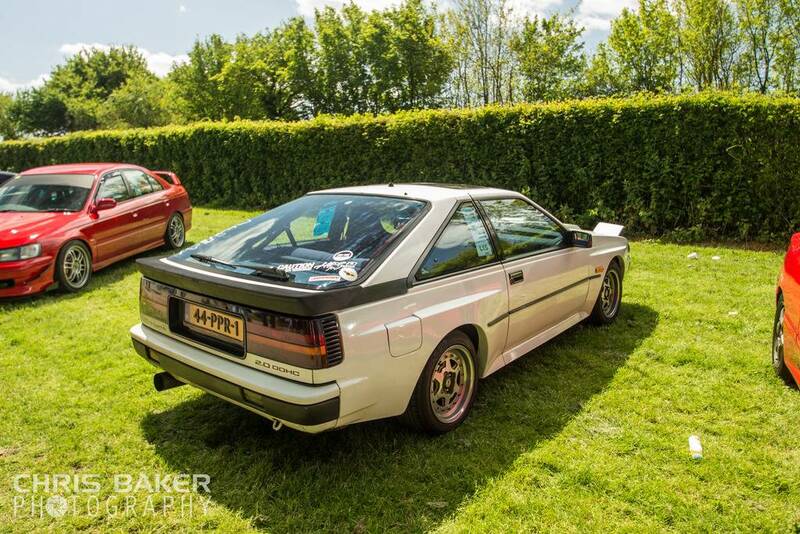 The S12 GP is extremely rare, but in such major British festivals he is one of the many rare cars! But hey, that is the charm, you can enjoy watching and comparing. " 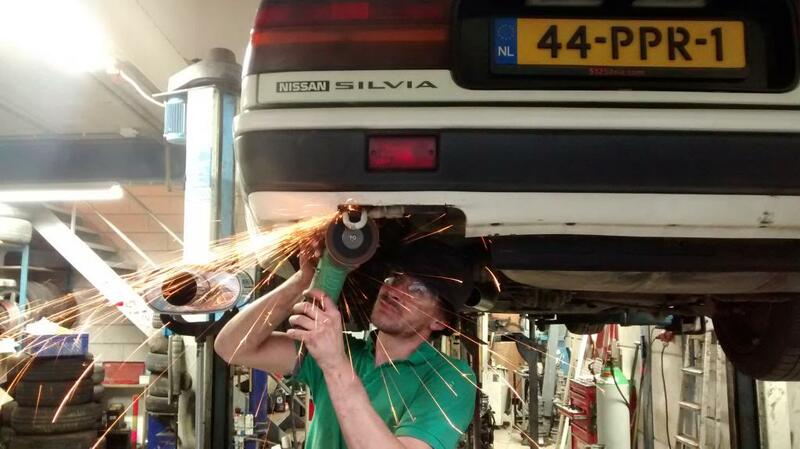 We are quickly done with it, because the stock of Silvia's S12 (April 1983 - September 1988) is very limited. Of the few cars offered the state varies. A decrepit copy can be obtained for 700 euro’s. Beautifully maintained in standard condition are on a tight four grand. 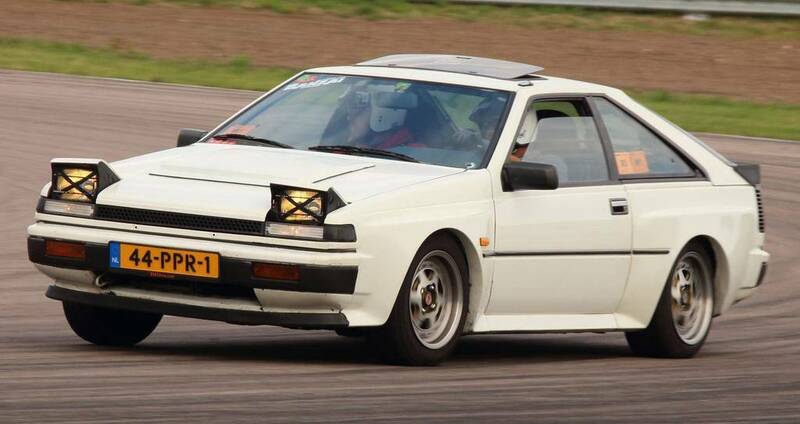 The Grand Prix with its wide body was never sold in the Netherlands. They can be found In Germany, but they are very rare. Switzerland and Austria also belonged to the elect and there is rarely a GP to find. If you can found one, count on about 5,000 Swiss Francs. Production numbers are not known. Wikipedia talks about 50 units, but that's probably too little. Elsewhere you can read about 4,400 units, of which 3.483 with FJ20e engine. That will probably sit closer to the truth. 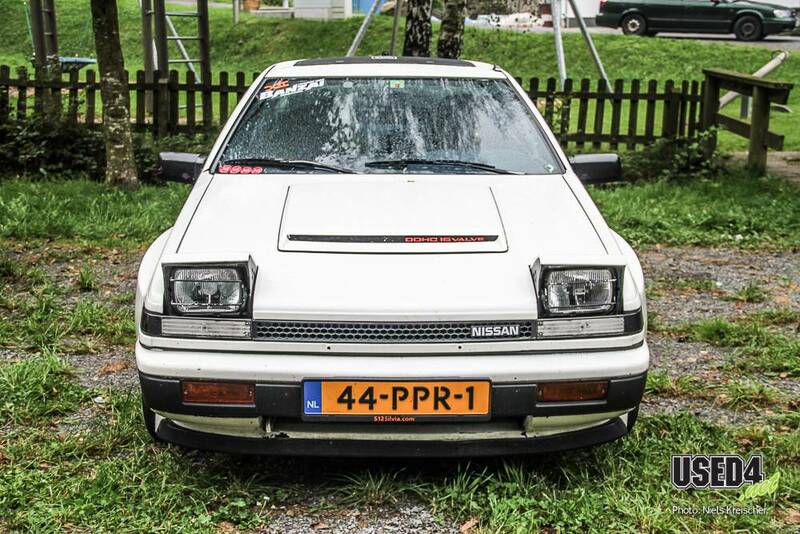 Its hard to find parts through Nissan dealerships in the Netherlands. The Internet helps you sort needed items, most of the time you need to import items from the USA, England or Australia. Prices are often surprisingly pleasant. Also used parts are easy to find on the world wide web. 1. The extended fenders remind of the Audi quattro. Headlight protectors to protect from crossing wild? 2. Apart from the low seating position the interior differs not that much of the interior of a brave Bluebird from the same period. 3. The seats look not really sporty, but are excellent, with adequate lateral support. 4. The large rear window provides access to a decent boot. Typically eighties, lots of black plastic. Later this week I will post an update reg. 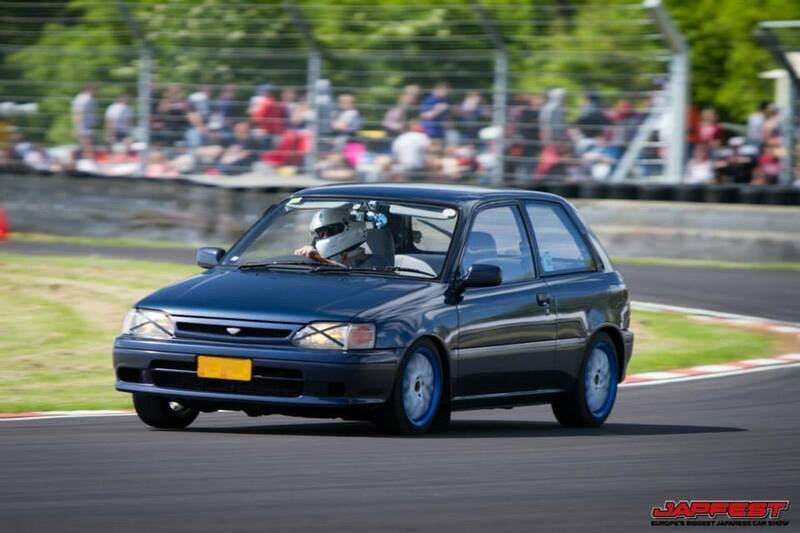 Japfest UK Castle Combe which I attended two weeks ago and had some fun on track with the 12. The week before the event I checked the car, gave it some maintance and mounted the setrab oil cooler with a 85degree temp sensor and a mocal sandwichplate. The weekend of 10-12th of May I went to the UK with a friend of mine. Tracktime was bought several months before. We decided to depart on friday morning. From Dover it still is a 285kilometer/ 3hours drive. After a long trip with leaving at 7.30 in the morning we arrived at Taz's place at 18h local time. We did some beers and decided to get some sleep before the clock would ring at 3.30 in the morning. 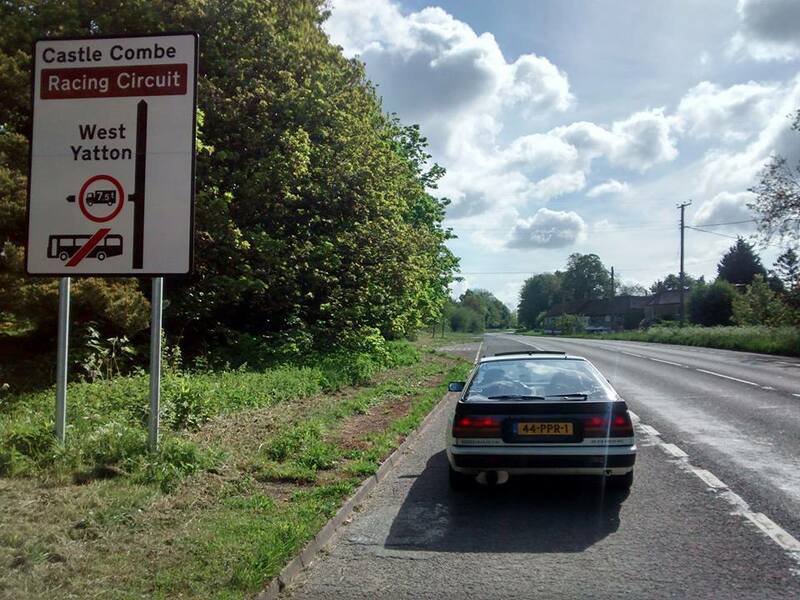 An hour later we were on road to the premeet near Castle Combe circuit and at 7.30 we drove off to the event with a bunch of primera's. As usual there was a nice queue to get in. However this time it was much worse and it took us 2.5hour to get in. Some dickhead decided to crash his honda and left the event in an ambulance. Finally arriving at the event we had to hurry to get to the sound check (Db test) and a mandatory briefing. After alot of stressing finally back in the car and onto the track. 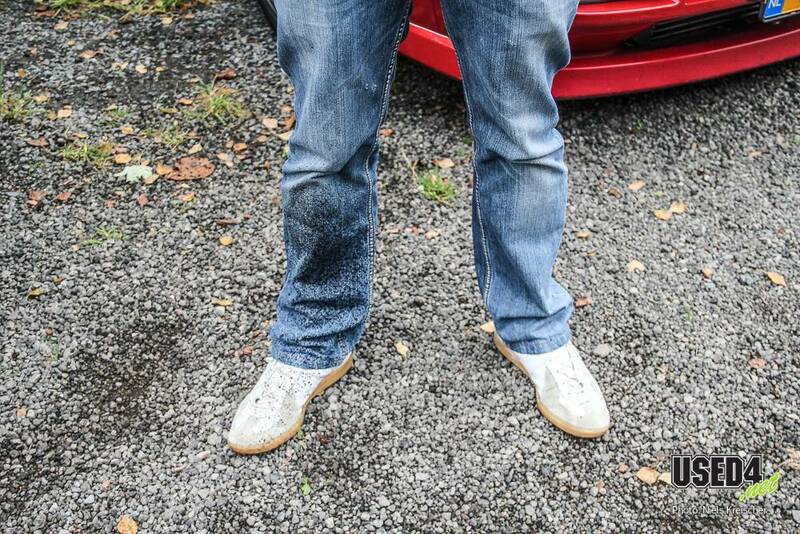 Unfortunately there fell quite some rain on the track which resulted in a very wet and slippery tarmac, duly noted! 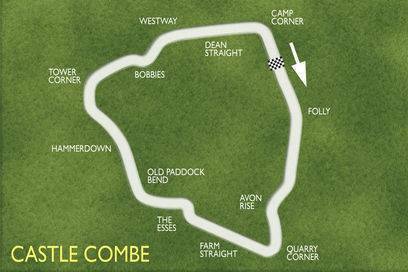 Castle Combe is aprox 30 kilometers from Bristol and originated as an airfield, just like alot of other English tracks. Sinds the 1950's there are races held. It is a fast track, but it is also bumpy. Which makes it more difficult to brake properly. During the briefing the instructor tells that this is the track with the hightest accidents ratio in the country. 25% of all UK track accidents happens on the Combe. The first session was on a fairly wet track. Advantage of this is that you learn to know your car very well. Lots of corrections needed especially in corners, and sometimes it just goes wrong. Seems a good reason to do a drift day soon. Top Gear decided to warm us with their presence. 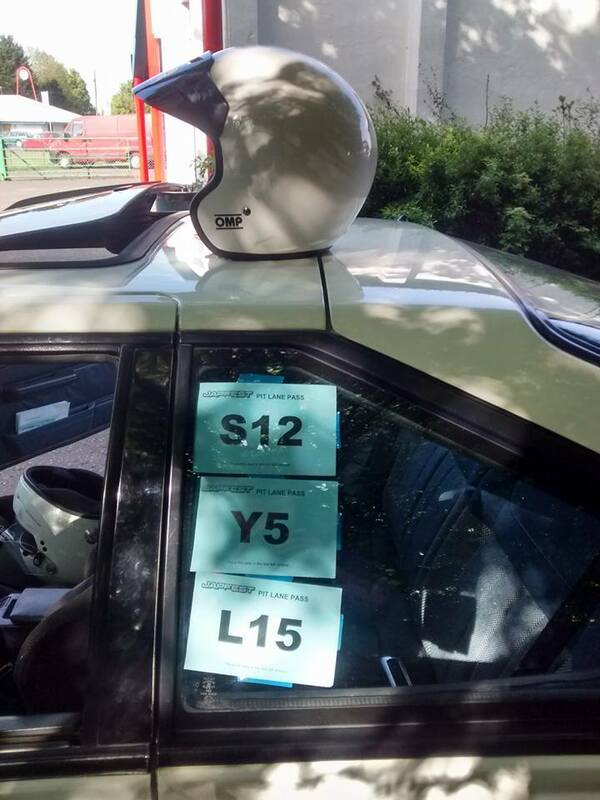 James May was driving in the same session. I found it peculiar that such a strange car was on a Japanese car event. He was "driving" a green peugeot convertible. Second session went better. Tarmac was dryer and the speed also went up. 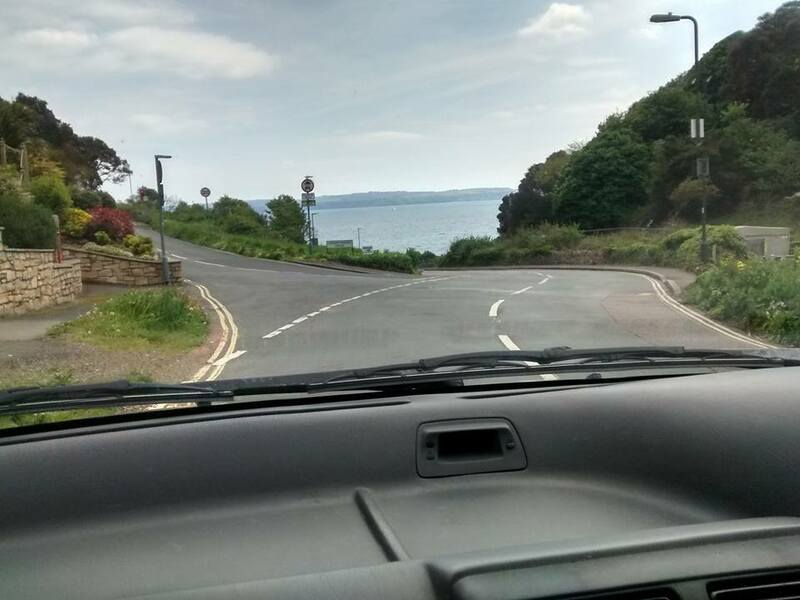 Had a lovely drive and loads of fun. Here are some pics of the event. Sunday evening we returned back in the Netherlands and it was completely worth the roadtrip. 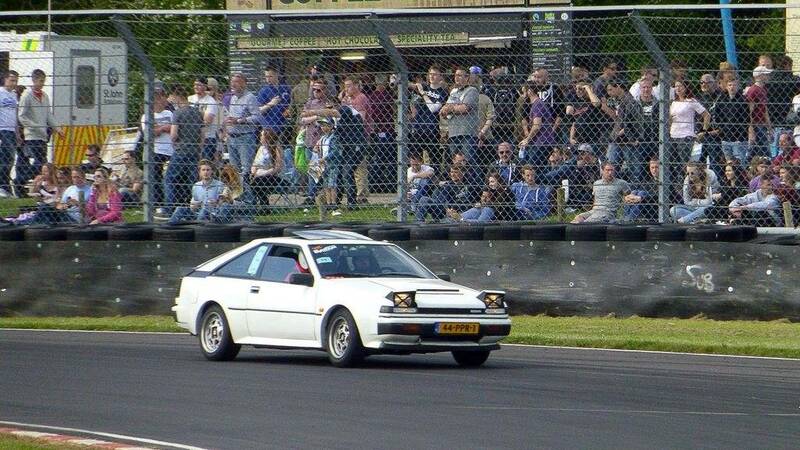 I think the UK car events are way better then the Dutch event JAF. Next stop Zolder? Assen? or perhaps Spa. 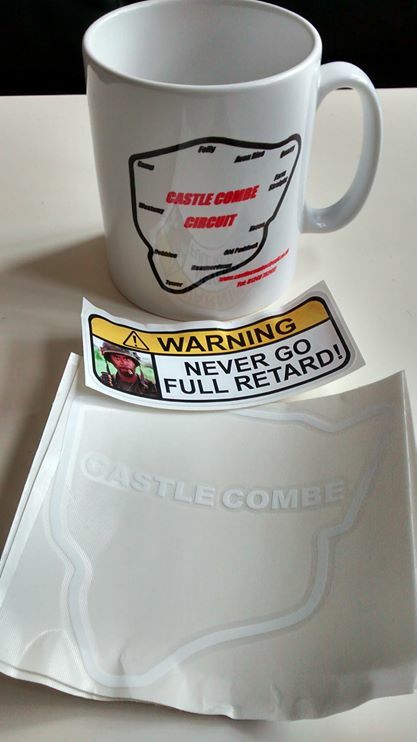 After Japfest I received a nice present from an English friend of mine. Fitted the sticker for those extra horses. 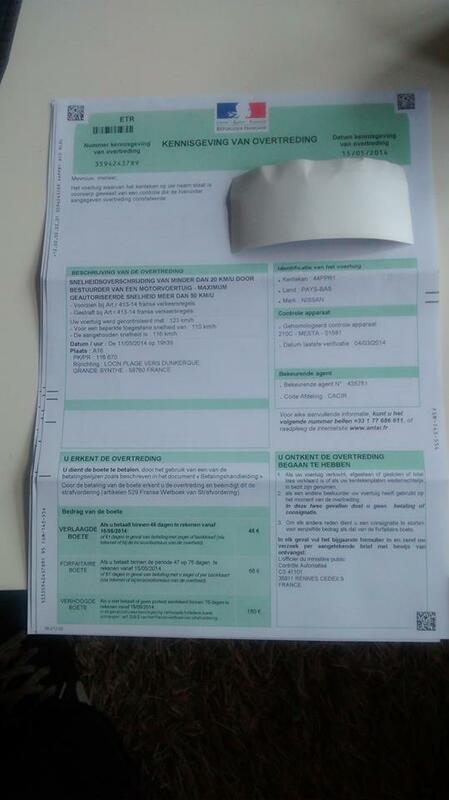 Received a nice letter from the French smurfs. 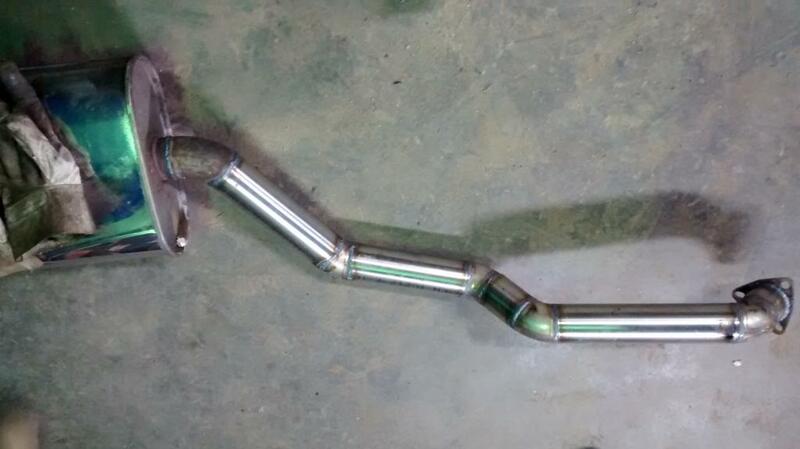 Had a nismo muffler collecting some dust so time to have the exhaust line welded. Small piece of the bumper and tow hook needed to be cut away. 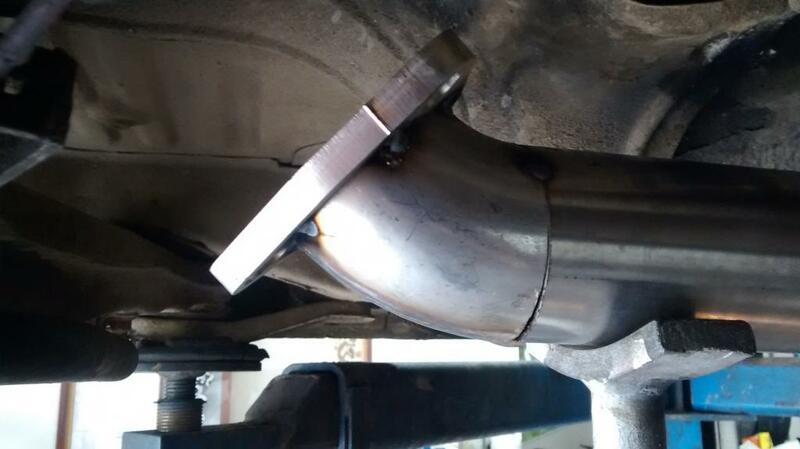 The piece of the bumper surrounding the tip of the muffler will be adjusted since I am not yet happy with that. Soon I will have the decibels checked because I think it will be too loud. We will fit a freeflow silencer between it somewhere. 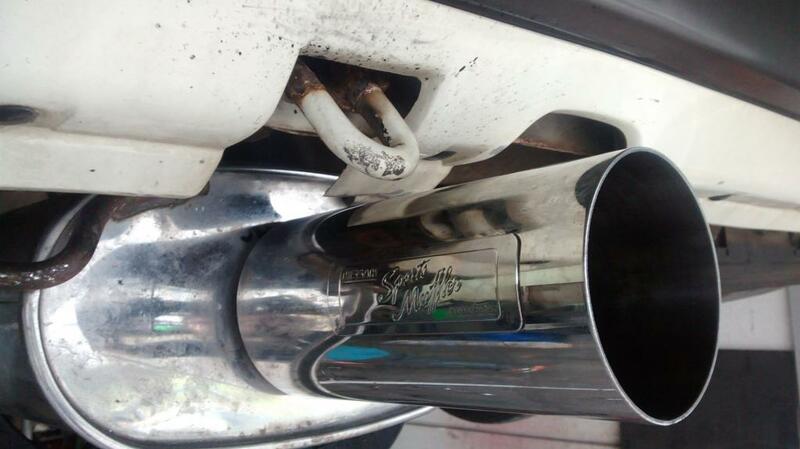 Current setup is a 2.5inch stainless steel exhaust line with a nismo muffler. Yesterday me and Jano went for a spin and took some pics of the silvia. 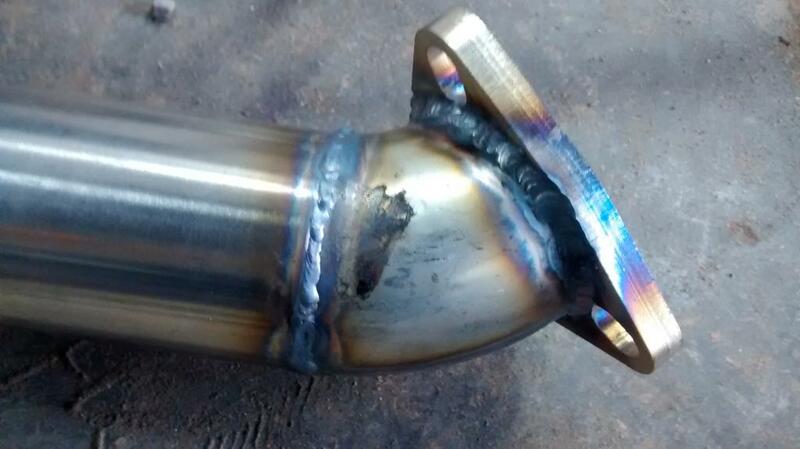 Since I cannot find the edit button I will post this reply with the pics working again of the exhaust welding. Friday evening we had a bbq and on saturday a tour through the Eiffel area. Very lovely environment. 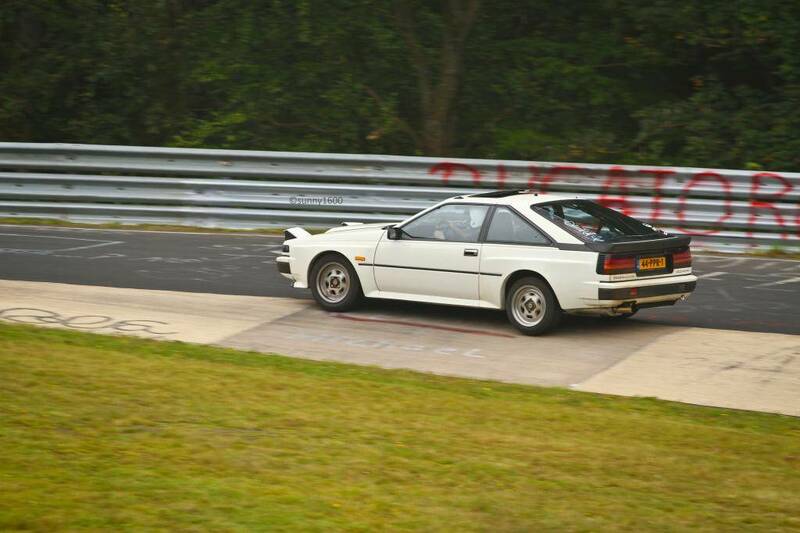 Sunday I did two laps on the ring. First lap it was foggy, very beautiful to see the ring in a different way. Sunday evening around 9 I was back home. Exhausted but that needs to happen at such a weekender. Some pics and other stuff. I had a bit of a scary moment. They asked me to rev it so I did manually and the throttle cable came loose from the lever and it went full open. Overview picture off the meet. It was really crowded. Lots of nice silvias. On sunday we went for the ring. Some pics on the ring. In three days I drove a total of 906 km's. And it was totally worth it!! Partial first lap of the day. Gopro quit half way. Later I was able to close the file with the gopro Sos function. Filmed on low quality on a budget cam. Found out later it was not filmed on the desired 1080p mode. The weekend was awesome again. Next year I hope to go more times. Few upgrades to the S12 Grand Prix, only mounted a solid steering rack made by experimental engineering/ David Caroll. Off course the thread was worn because of some rusty bolt. New thread, new oil and filter and that was it. I still have the S14 4 pot brakes that I should really install on the car, as should the PU bushes from Energy suspension I still have collecting dust. Not many upgrades, but I have been cruising with the GP. 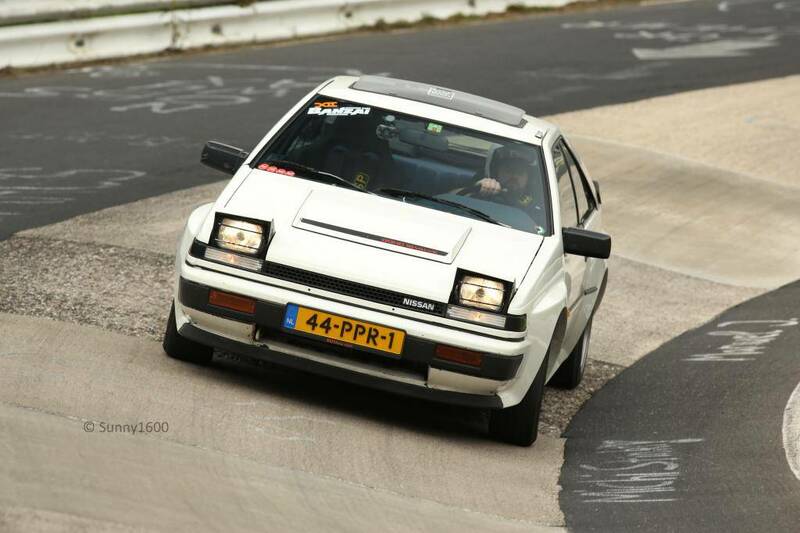 With the Dutch SXOC I went to Japfest at Zandvoort Circuit. I took a German friend from the sxce.org with me and he had a great time. The next weekend was the weekend I was really looking forward to. 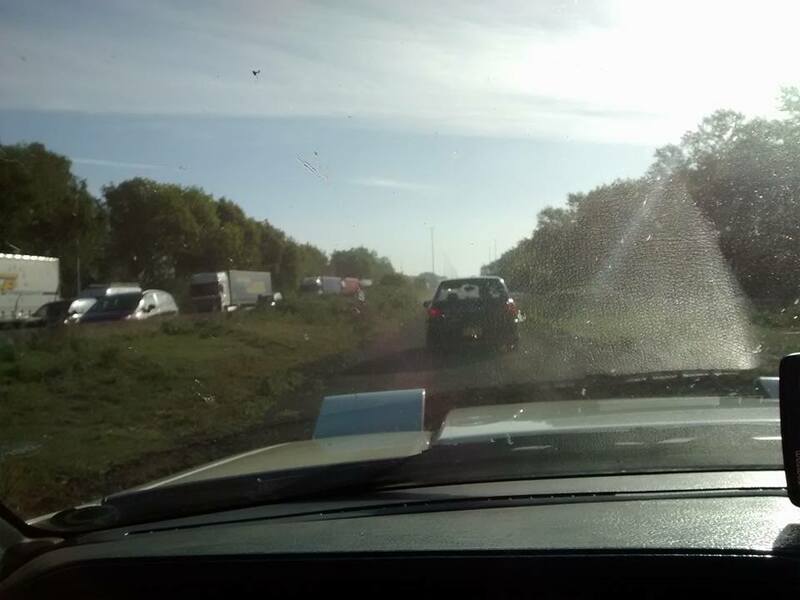 To get in a huge traffic jam at the E34 even before Antwerp. So we decided we went a bit offroading leaving the highway and find ourselves another way. As to be expected there was a bit of rain. It was England off course! Around 18h UK time we arrived at my friend Taz which I know from the NPOC. 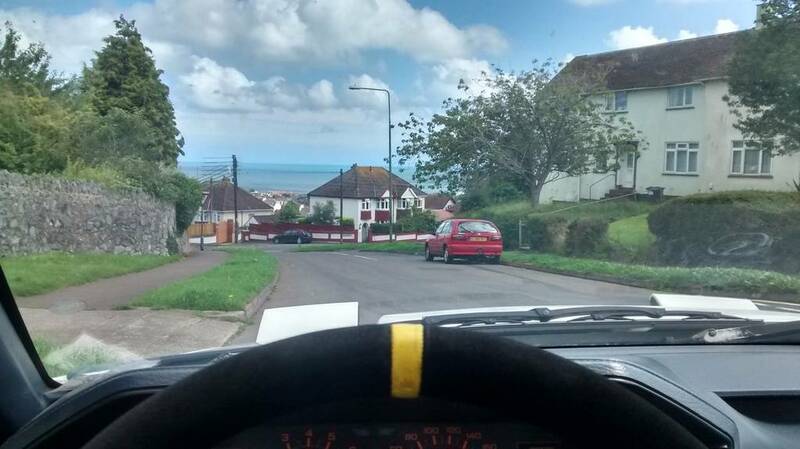 He lives near Torquay at the English coast. 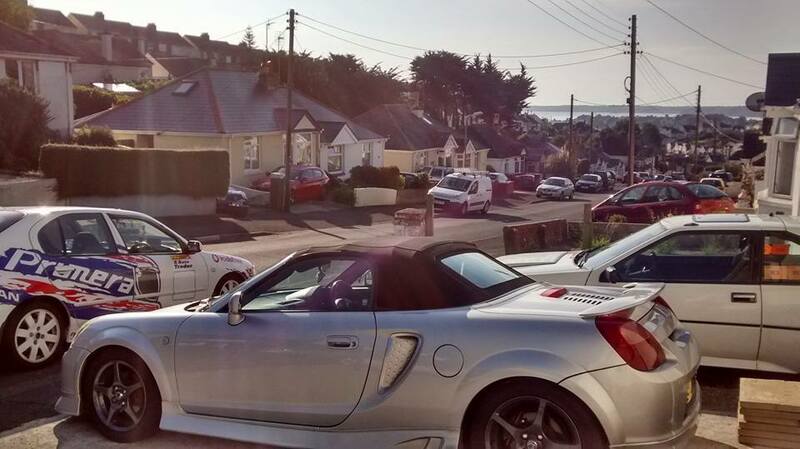 Stunning environment, lovely roads and we had great weather. What else can you wish for??? Right! Beers!! And we had a lot off those. Saturdaymornings early departure took us to Castle Combe. We did a premeet with the Primera OC (NPOC). Did some tracktime which was great. I had bought 3 sessions. This year it was devastating warm (well for UK standards that is ), so it was a 1000 times better than last year when it was raining cats and dogs. Unfortunately my second sessions was over way to soon due to a red flag. 35 pounds for 5 minutes of driving time.. ouchhh.. expensive session. An EVO had his rear bumper in flames and a honda decided to be a lawn mower. Plus there was an extensive amount of debris on the track. I did found out it is a really fast track, something you notice better when pushing harder on the track. 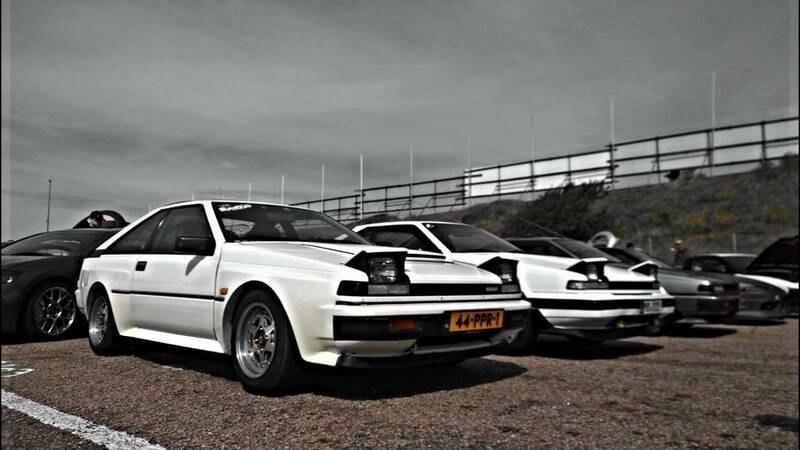 Spotted some other S12’s on the paddock. After the event we drove to a hotel nearby Castle Combe. Decided to celebrate a good weekender with a shitload of beers and steak. In the end I did drive 1800 km’s that weekend and also the FJ20 decided to use 2 liters of oil. 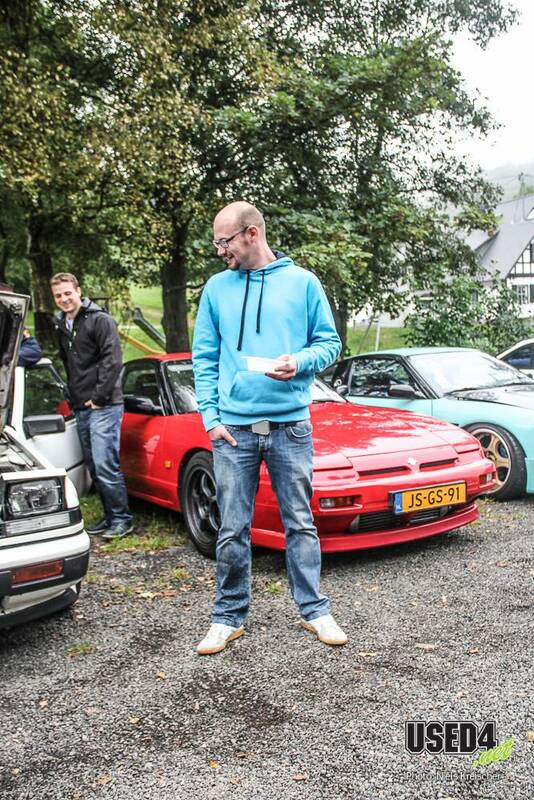 And a more recent picture of me and my mate Chris with his S13 SR20DET. 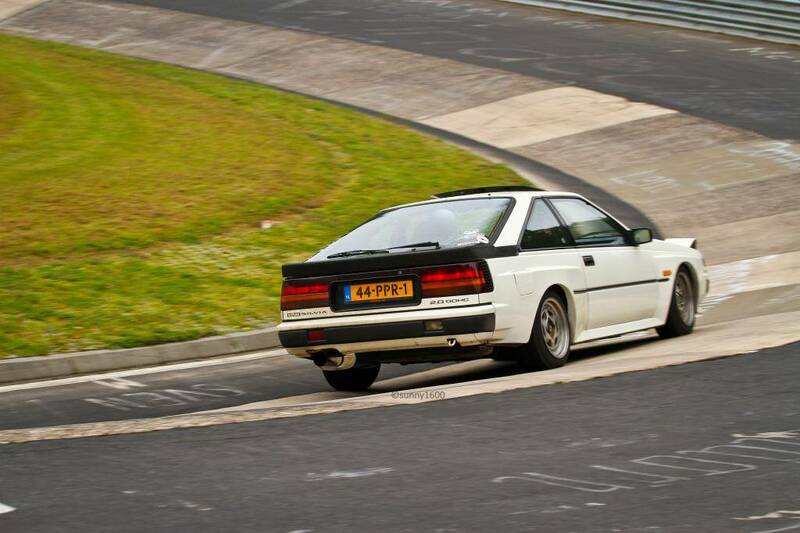 Planned short term fun time with the S12 Grand Prix. 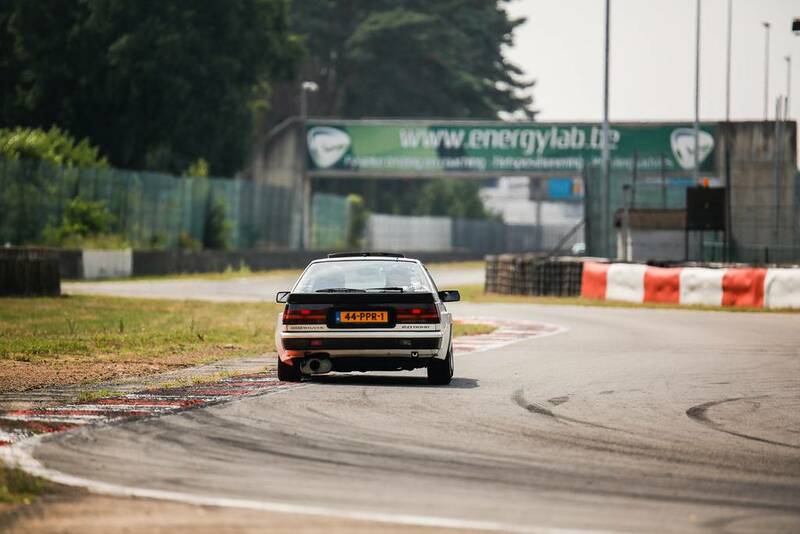 If its possible I would also like to go to Zolder Circuit for some laps. 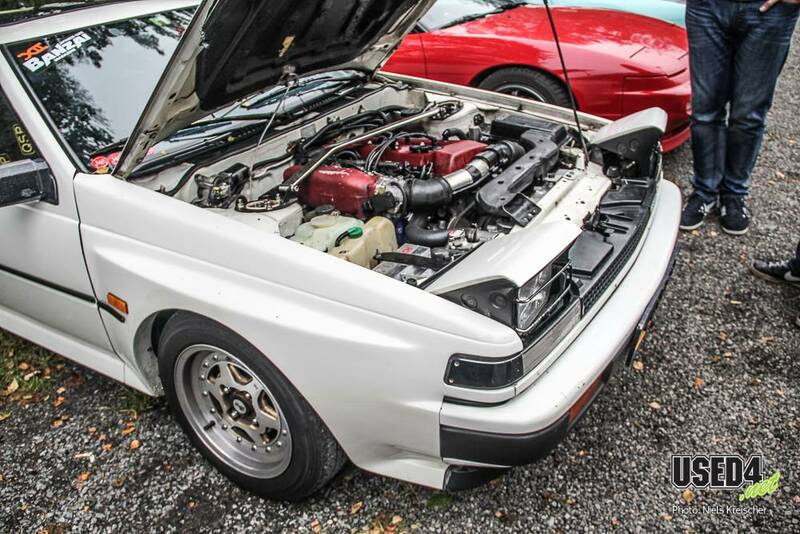 Not many updates but the S12 is used for what it was built. 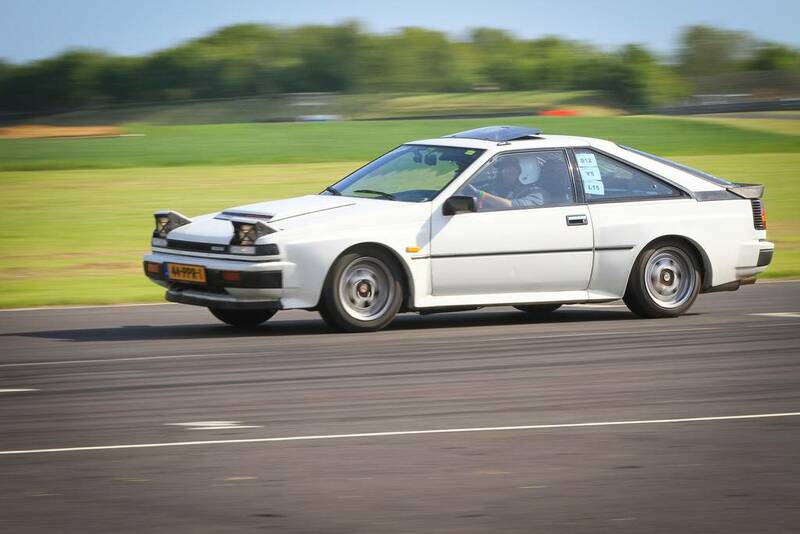 Driving it with a big smile, preferably on a track off choice. And a small video of me at Castle Combe to Finish off. 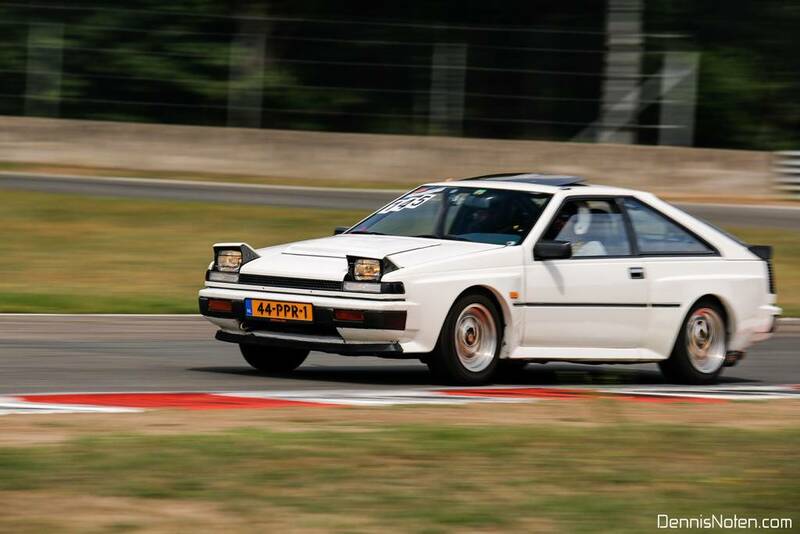 Before I left to the UK for half a year a Dutch sxoc member Bas Witkop made these awesome pictures of my S12 Grand Prix. This includes some rigshots which I am very happy with. 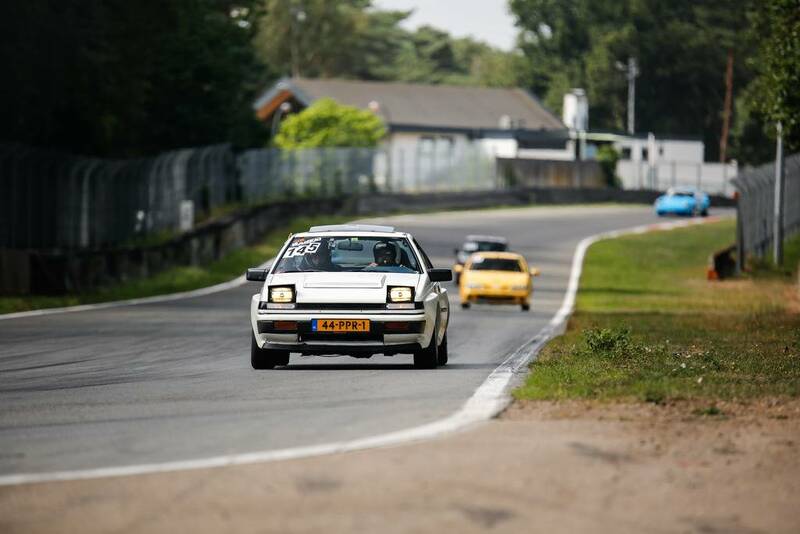 On the 12th of August I went for an hour of track fun at circuit Zolder in Belgium organized by Skylimit/Trackday by Heinz. 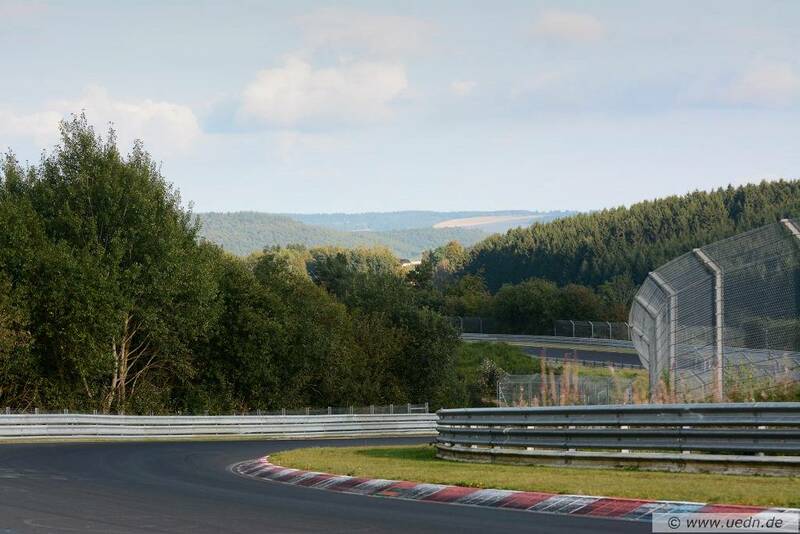 For 75 euro you had the opportunity to drive this famous circuit which is quite short compared to the nurburgring / Nordschleife in Germany. However it is notorious for killing your brakes, which it indeed does. It contains 10 corners and stretches a length around 4 kilometers. As said it is a challenging track especially for your brakes!! After half an hour I stopped in the pit for a 5 minute cooling down. I picked up quite a bit of rubber on the tarmac and as a result my steering wheel was vibrating quite a lot. After that stop I didn’t have much problems with that anymore so that was a good call. All in all I had a great afternoon at this track that is closest to my home. Its only 50 minutes away from Eindhoven The Netherlands. 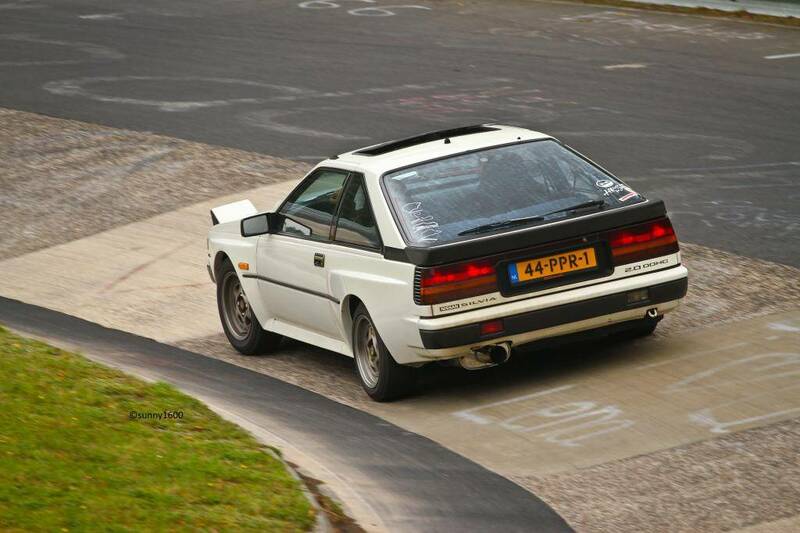 Some pictures made by Dennis Noten of my Nissan silvia S12 Grand Prix on track in Zolder Belgium. And a very small amount of video material as my GoPro found it more amusing to film the sky then the tarmac. 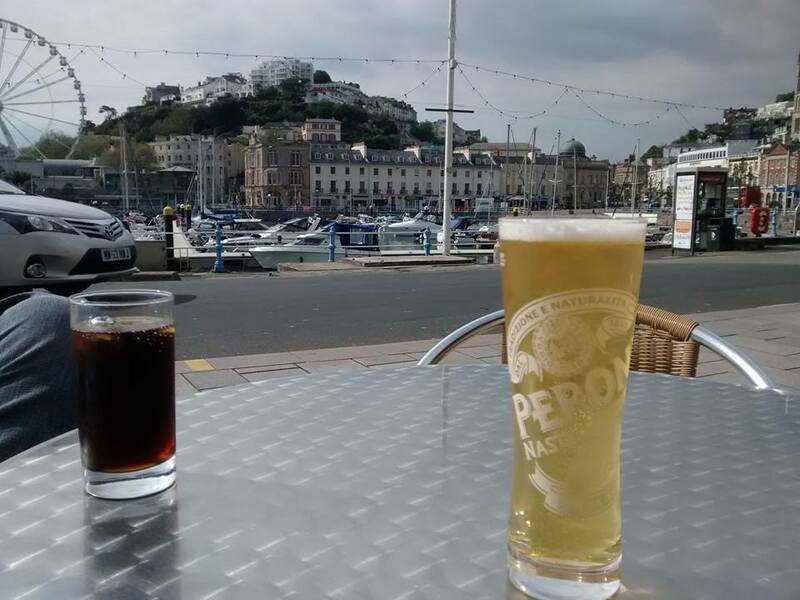 Since half of August 2015 I have been living in England, in the coastal town of Paignton in Devon. 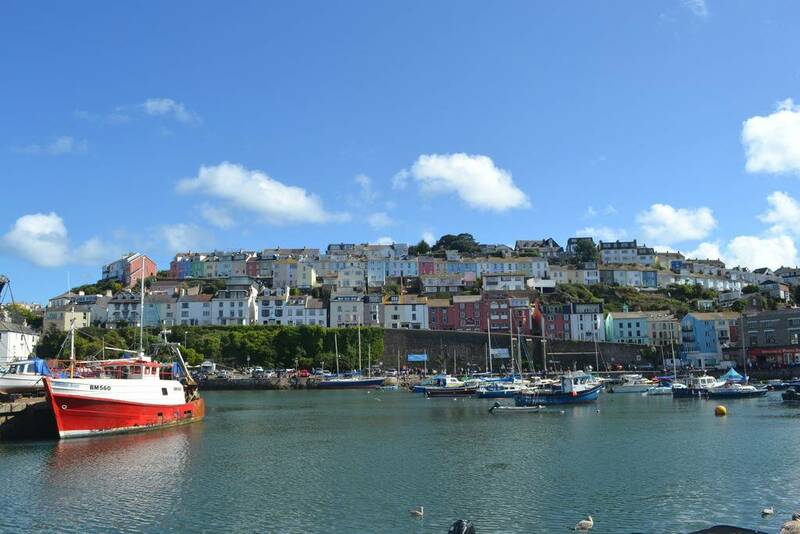 It’s a lovely place and a beautiful scenic area, hence they call the area the English Riviera. As said a very lovely area, lovely people and superb roads to drive. Especially in the mountains. 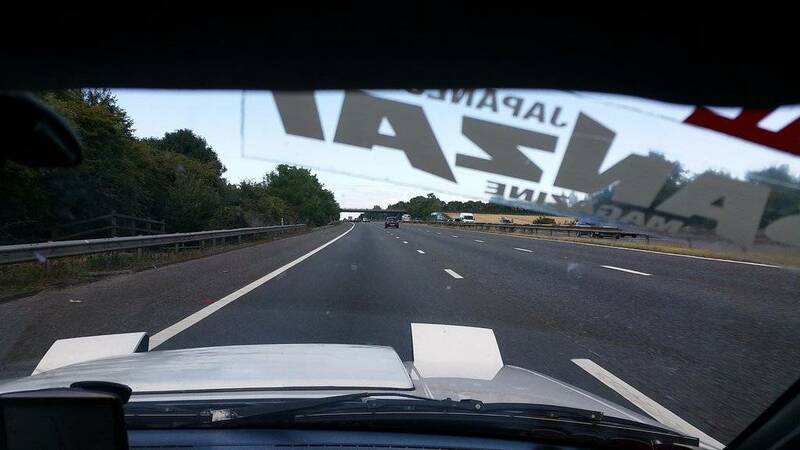 The weekend I arrived I went with my mate Taz to Japfest 2 Rockingham. Luckily we didn’t drive the Oval but they planned the National Circuit. The National Circuit at Rockingham is a fun course to drive, and its certainly up for a recheck. 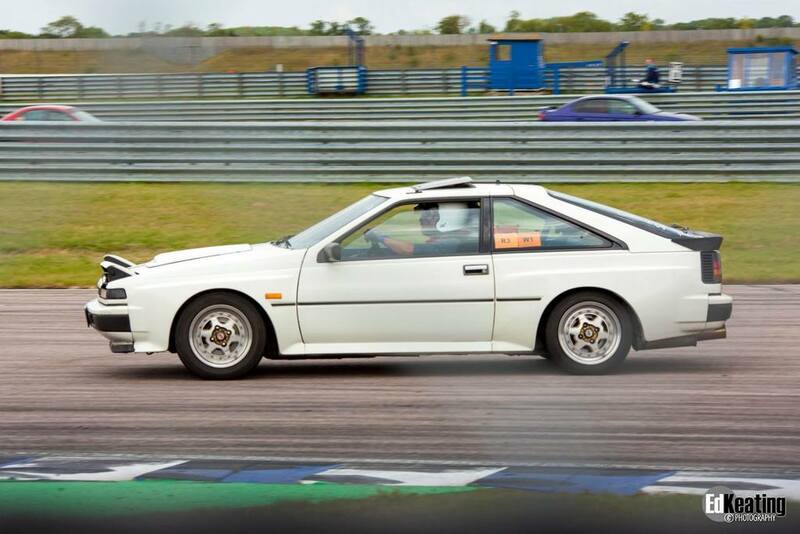 I drove 2 sessions of 20 minutes, only downside of the layout at Rockingham is that as a spectator you can’t see much of the trackaction. 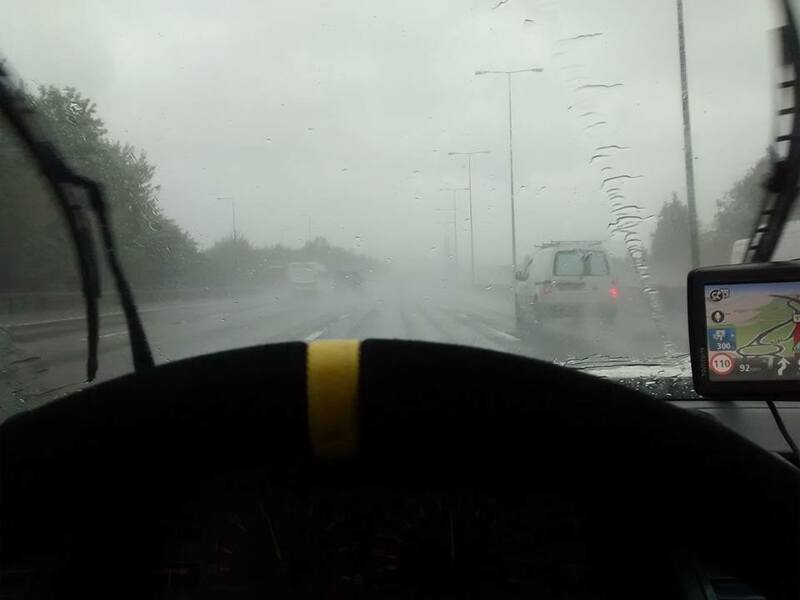 However if you are driving you don’t have this disadvantage. In September 2015 I went to JAE (Japanese Auto Extravaganza). This time it was only a 4 hour drive so that was a big advantage. I had heaps of fun and there is always room for beers with friends. 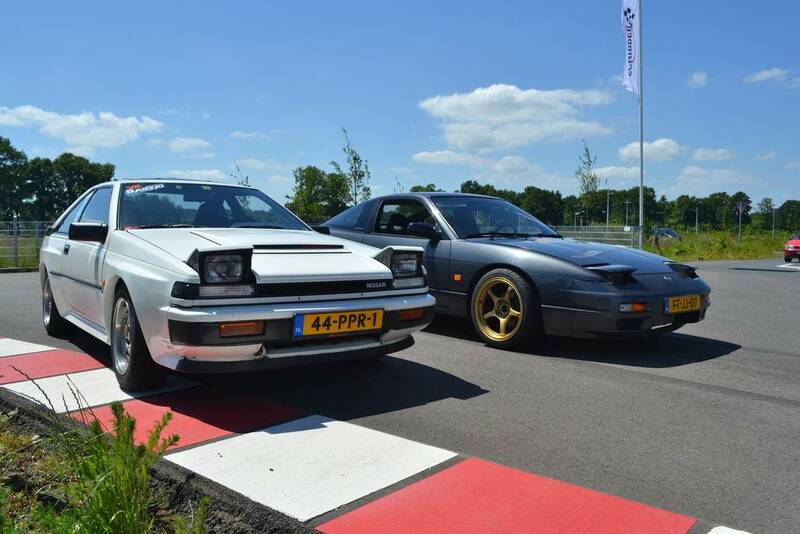 I also had a meet with two other S12 silvia owners. 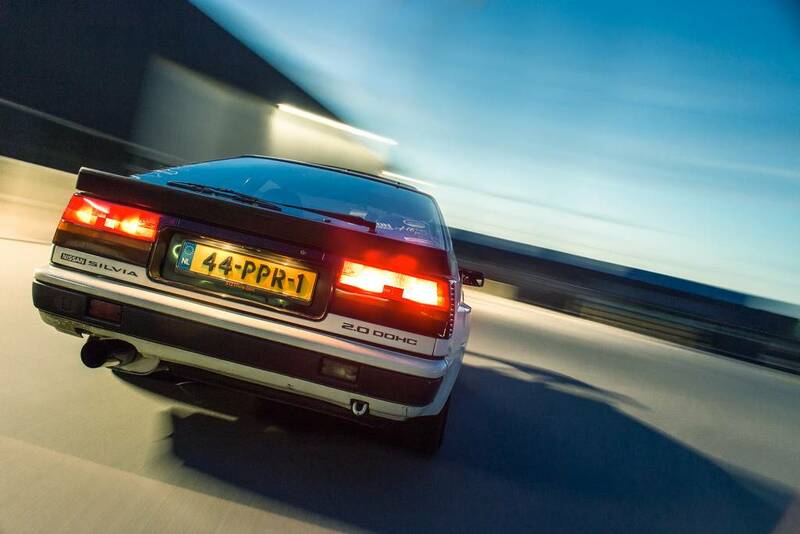 A running S12 is even rarer in the UK than in the Netherlands. 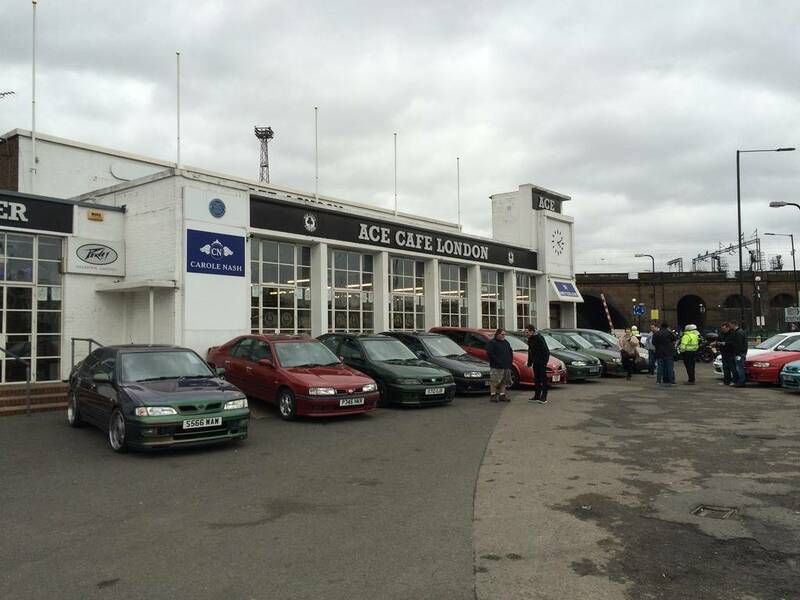 In December I finally joined the famous and notorious NPOC end of the year ACE Cafe meeting. because after 9 months of living in England I had decided to return to the Netherlands. That was one month ago. 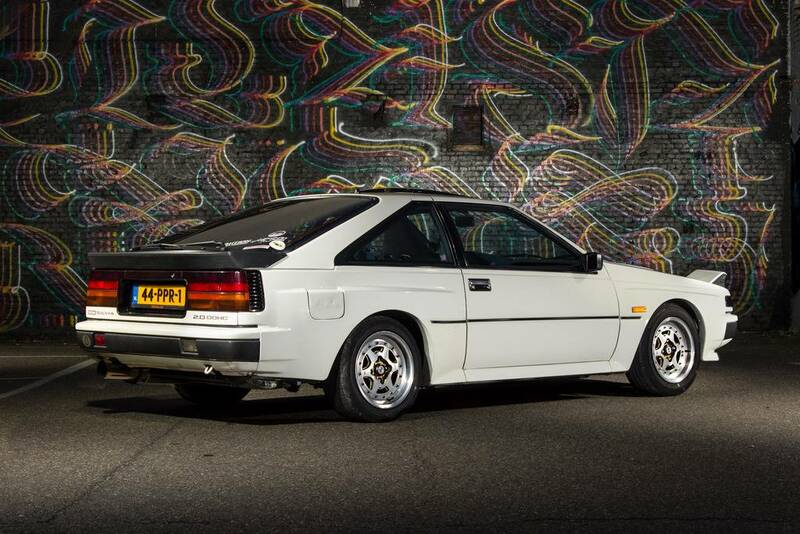 The S12 is currently on a low priority but hasn’t been forgotten! !